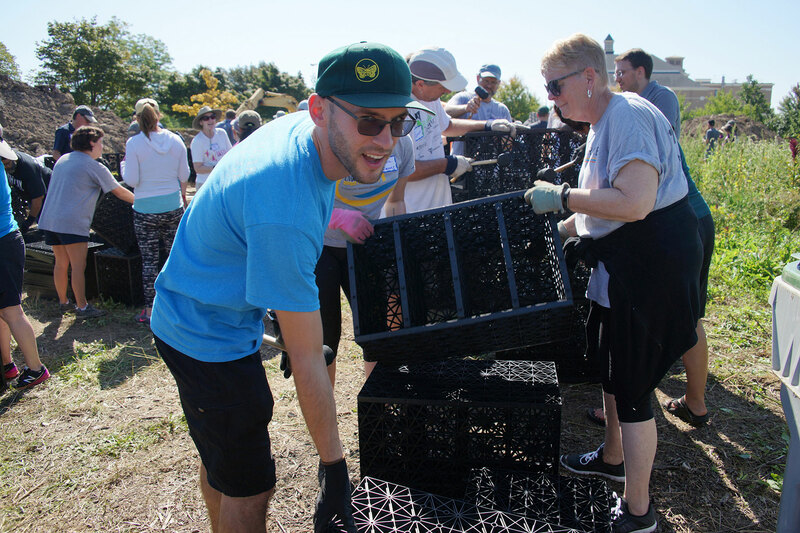 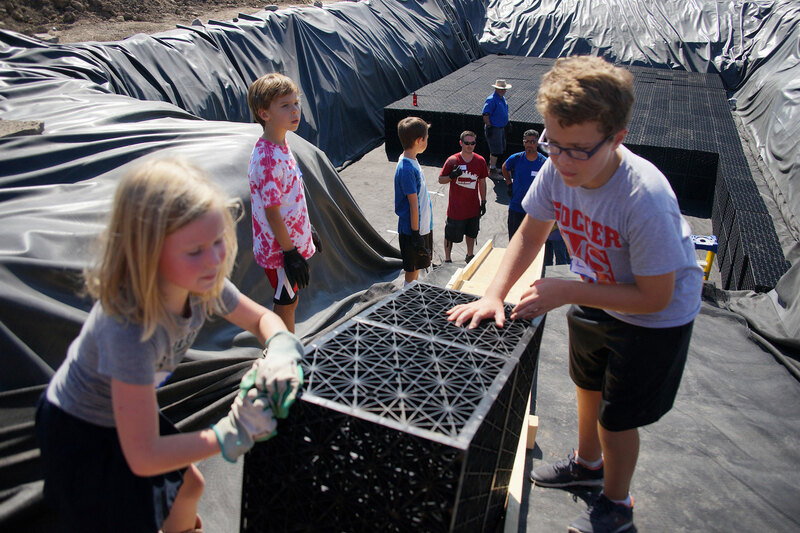 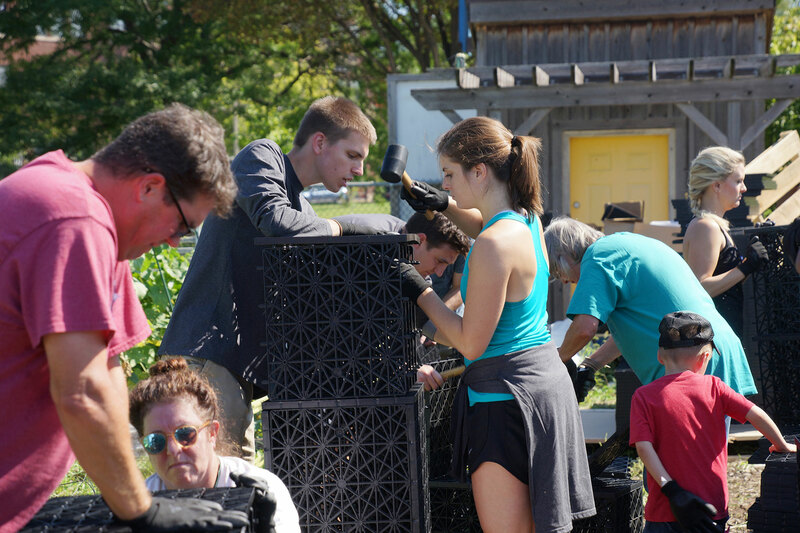 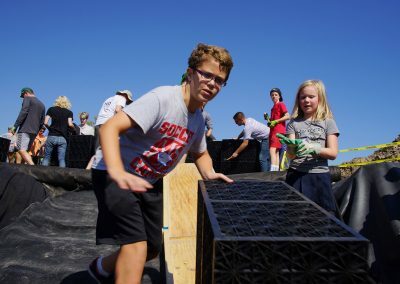 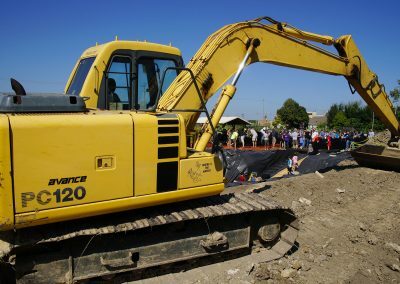 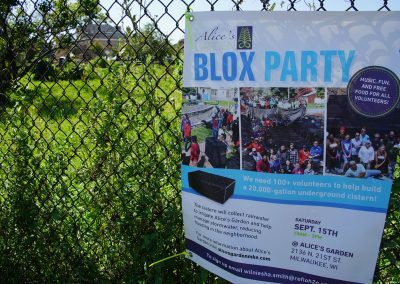 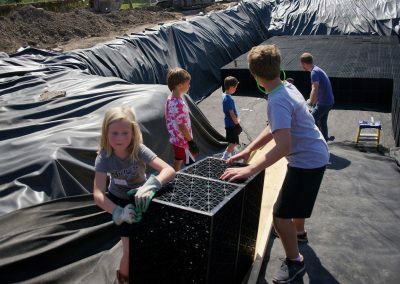 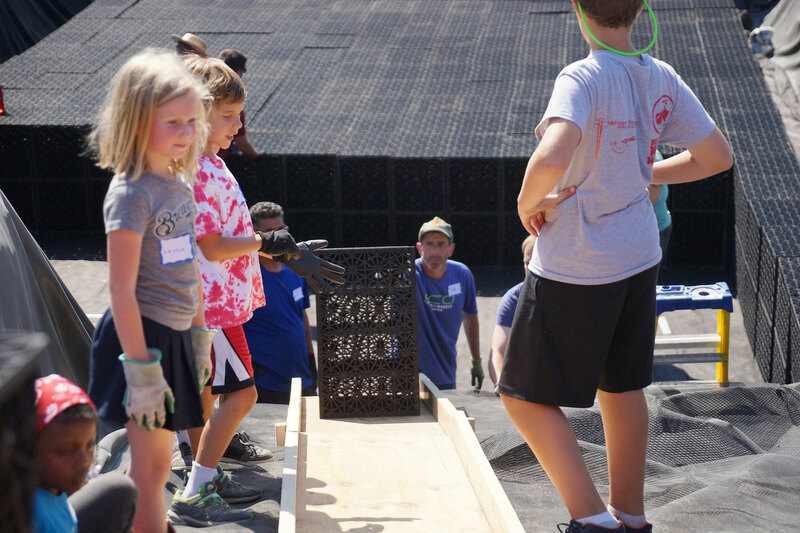 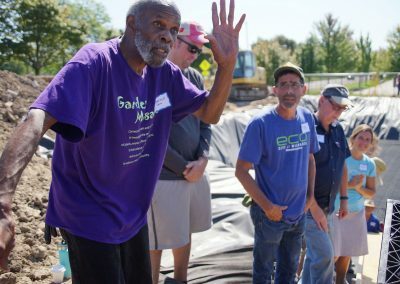 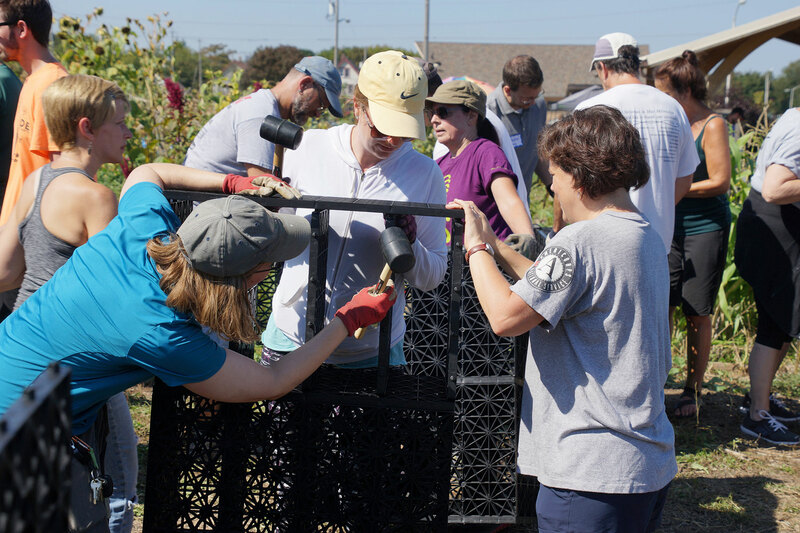 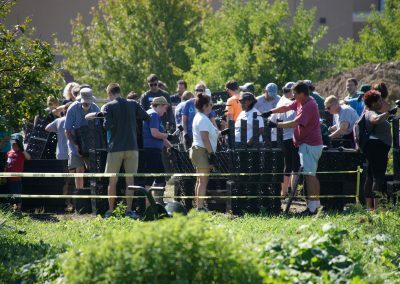 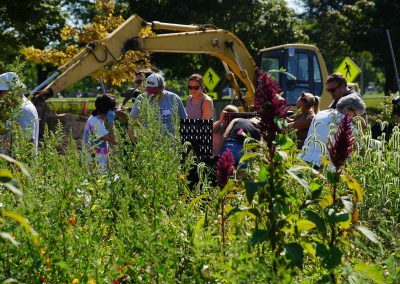 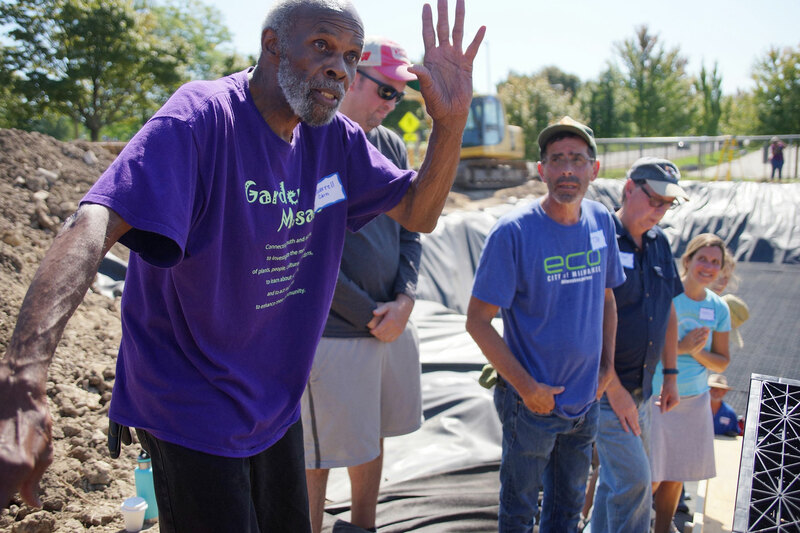 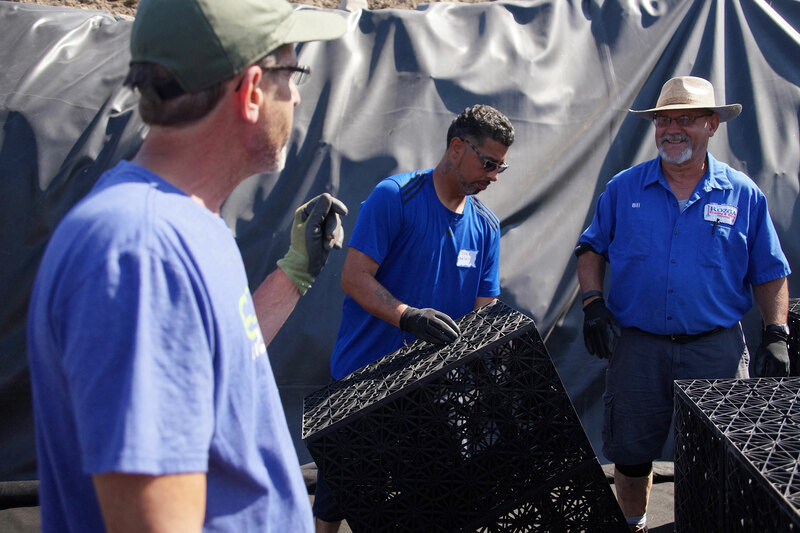 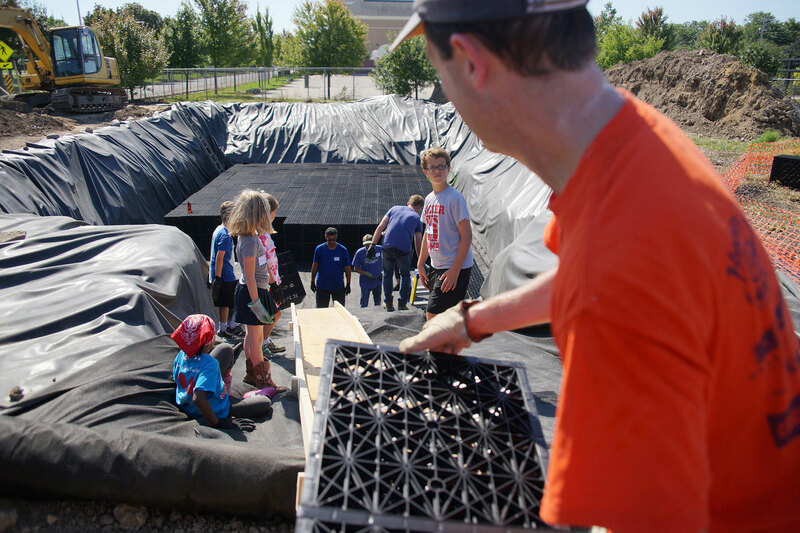 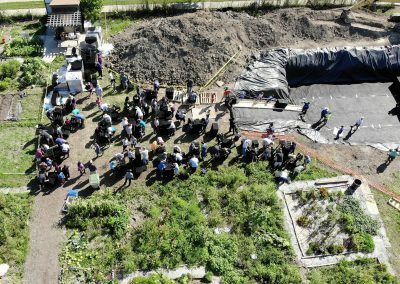 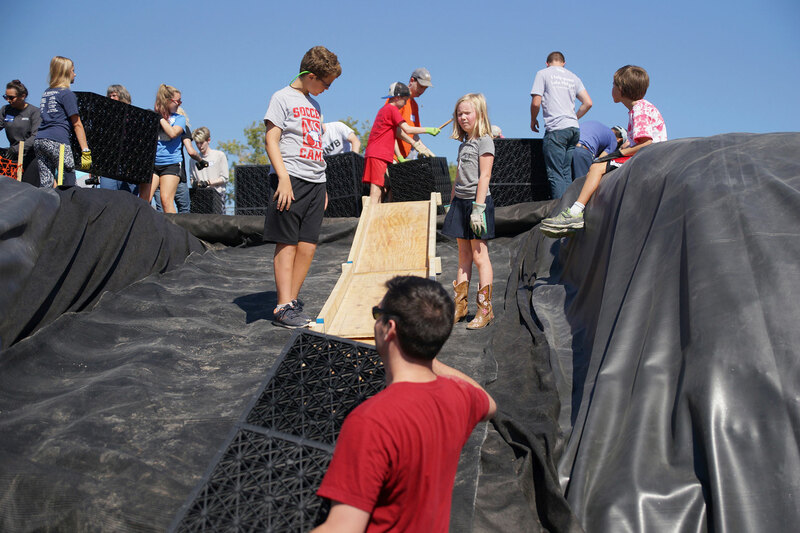 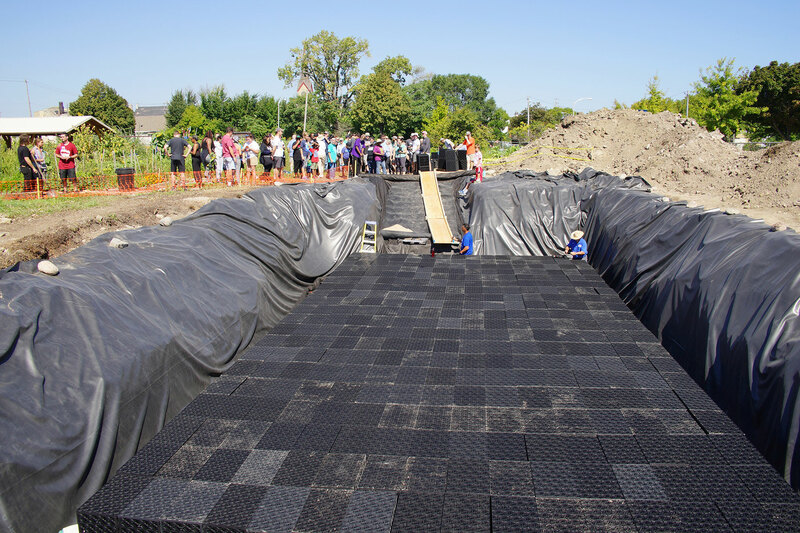 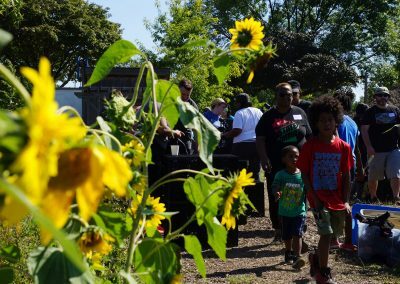 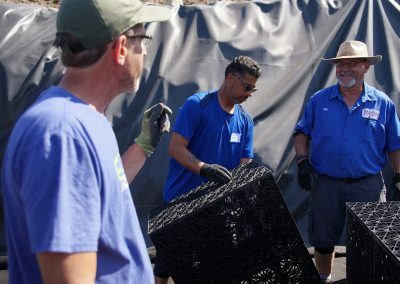 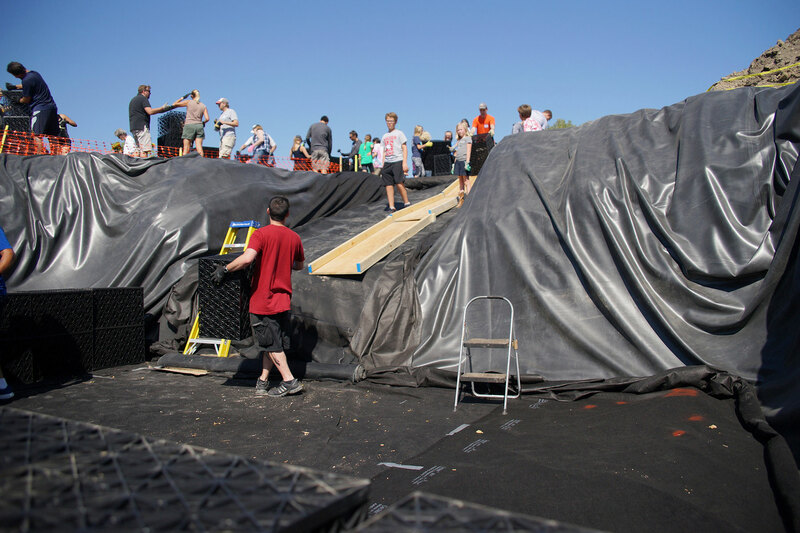 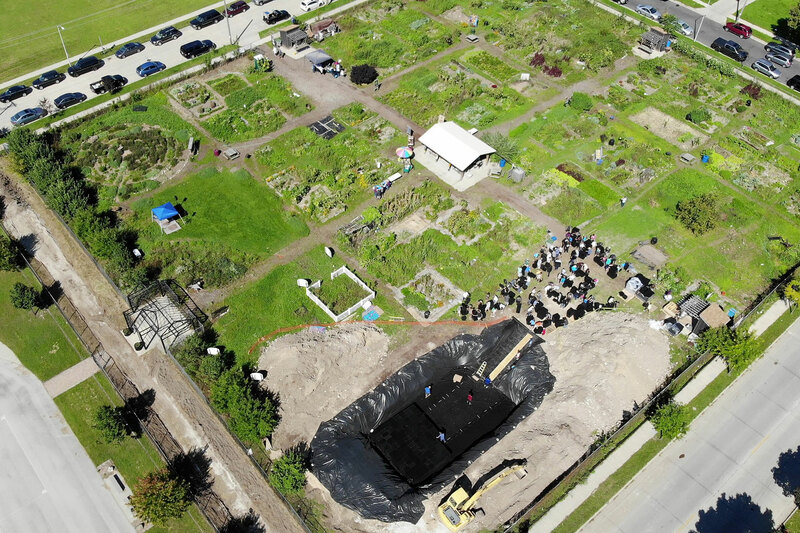 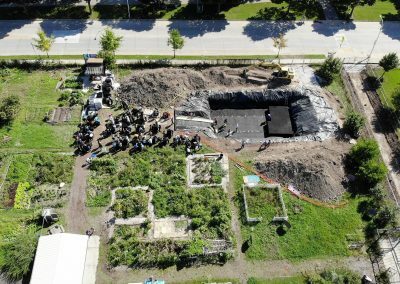 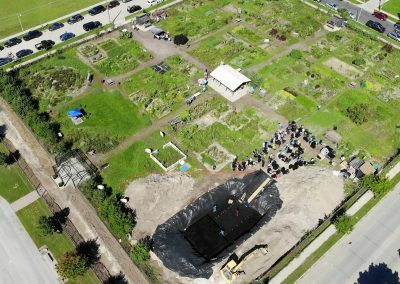 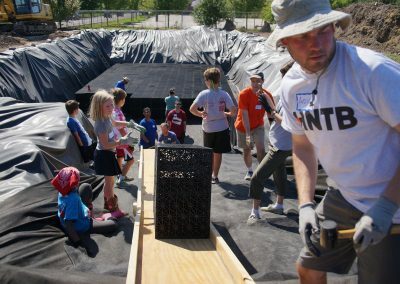 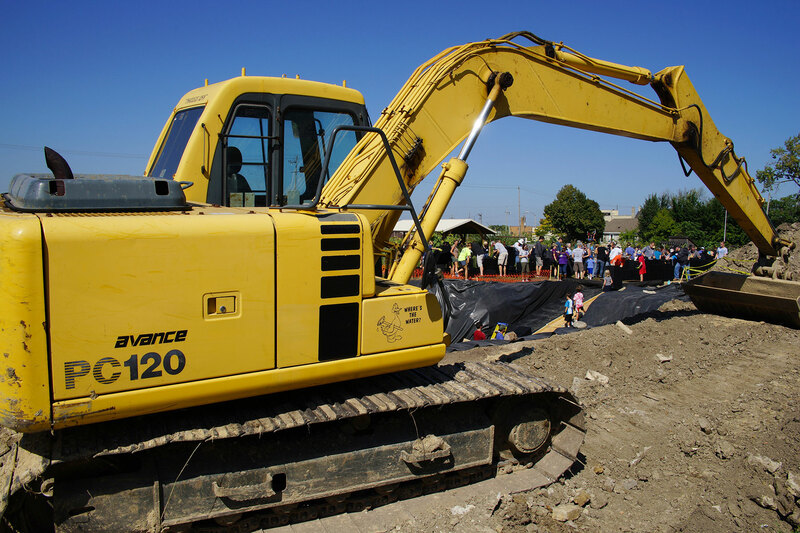 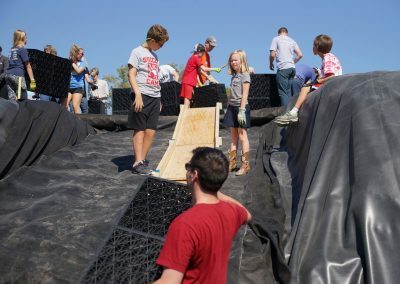 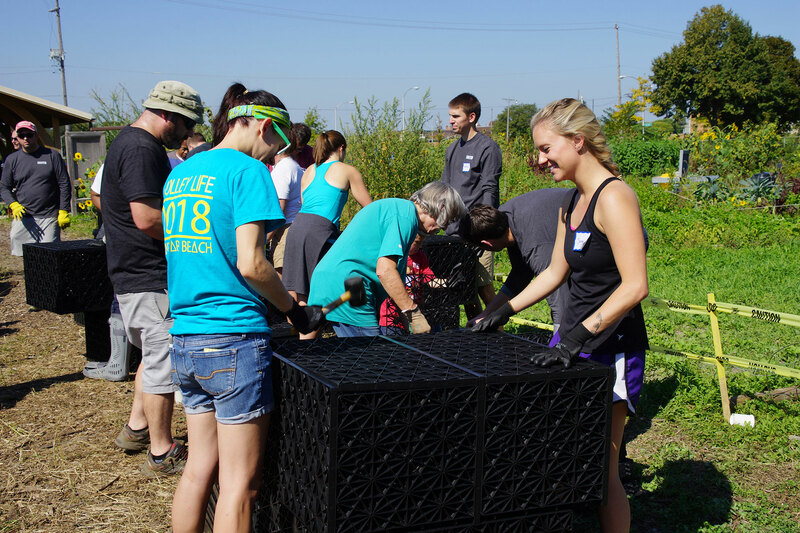 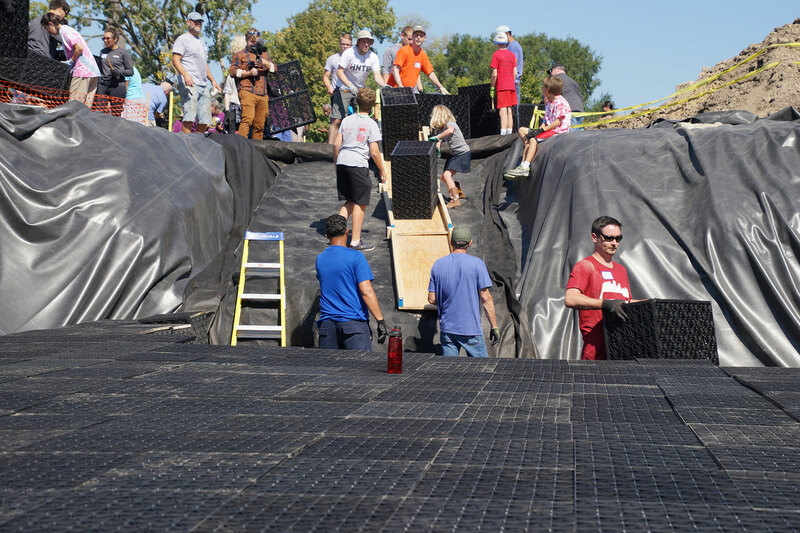 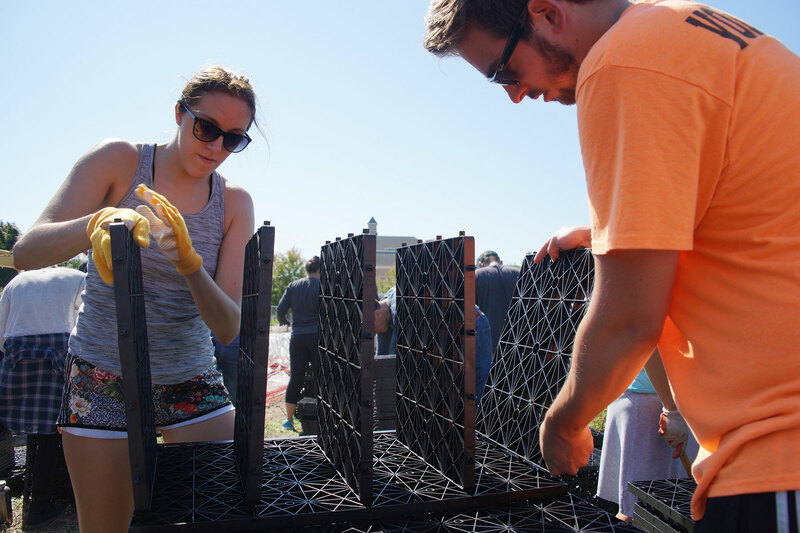 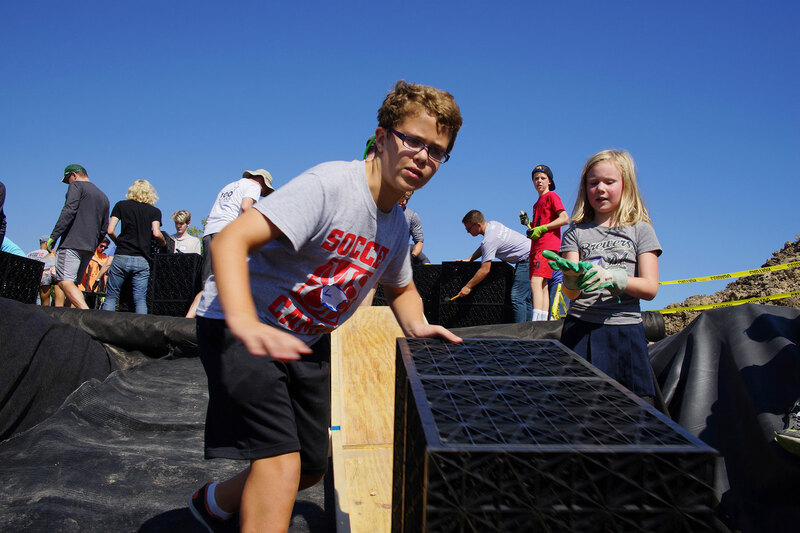 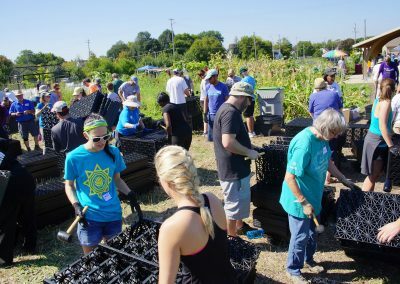 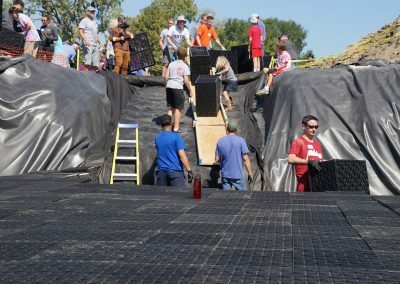 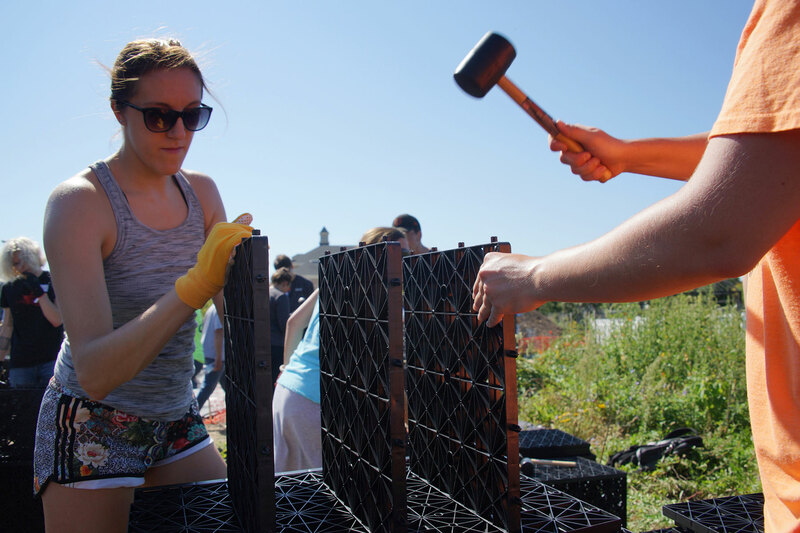 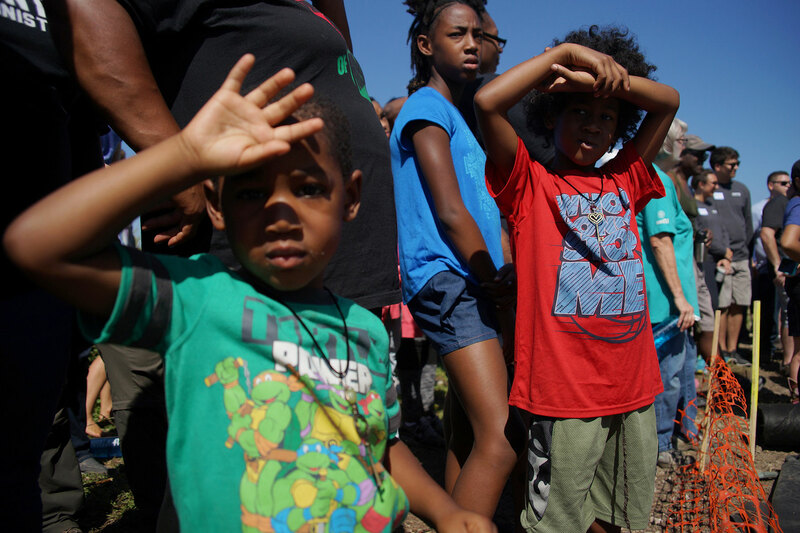 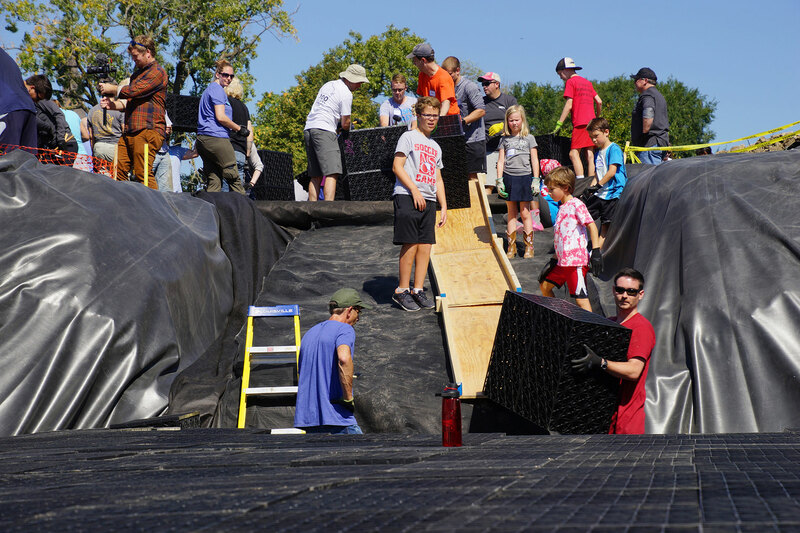 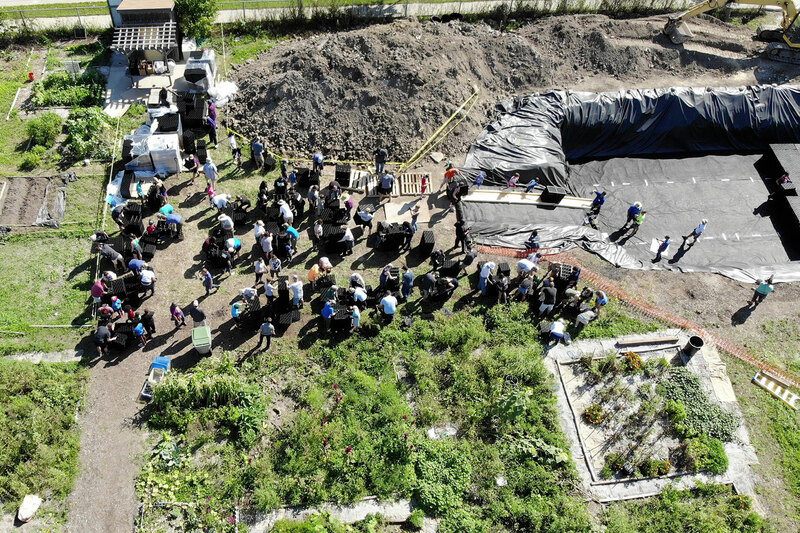 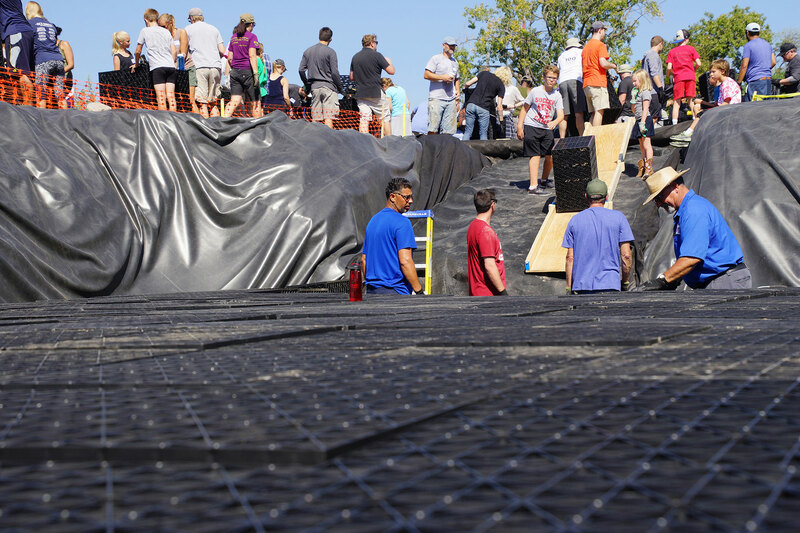 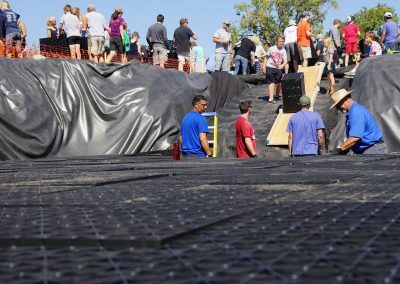 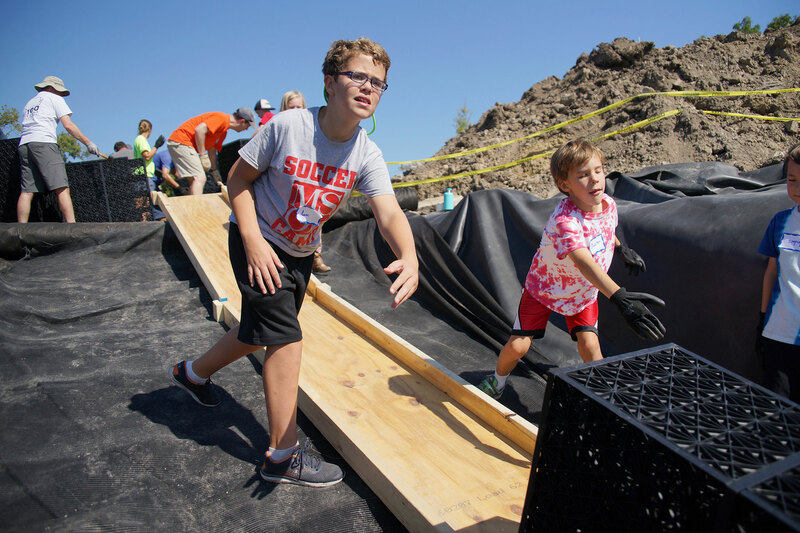 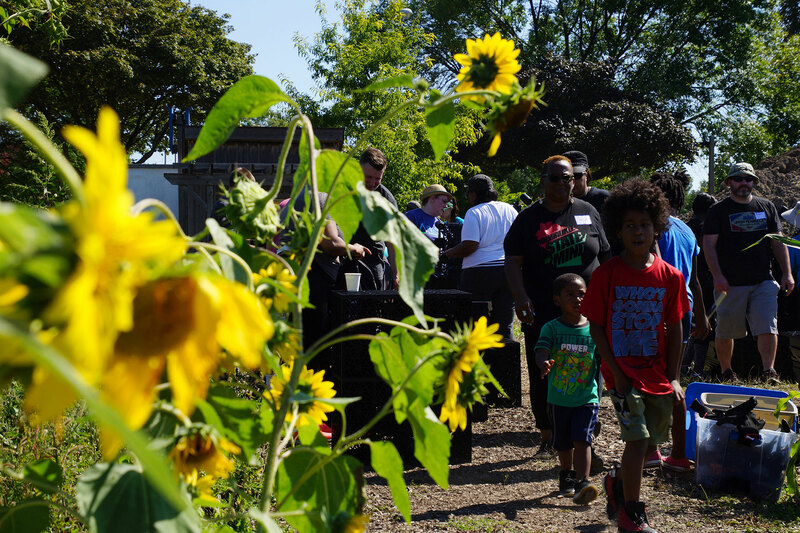 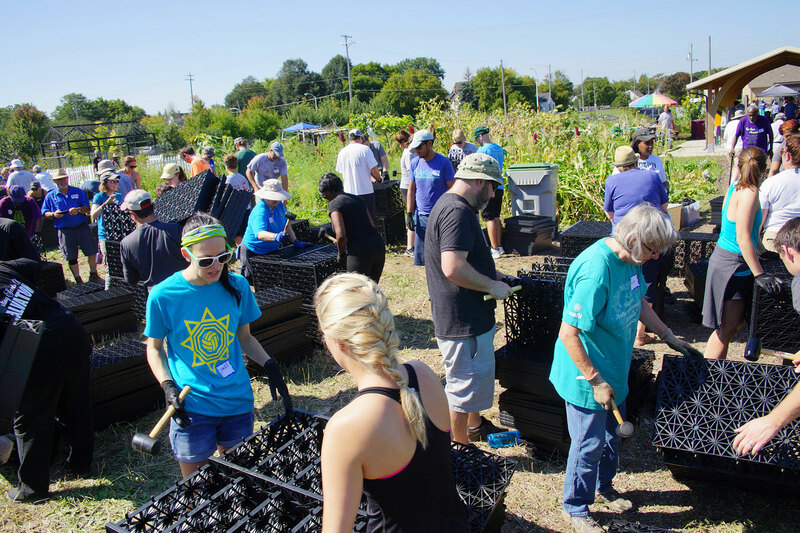 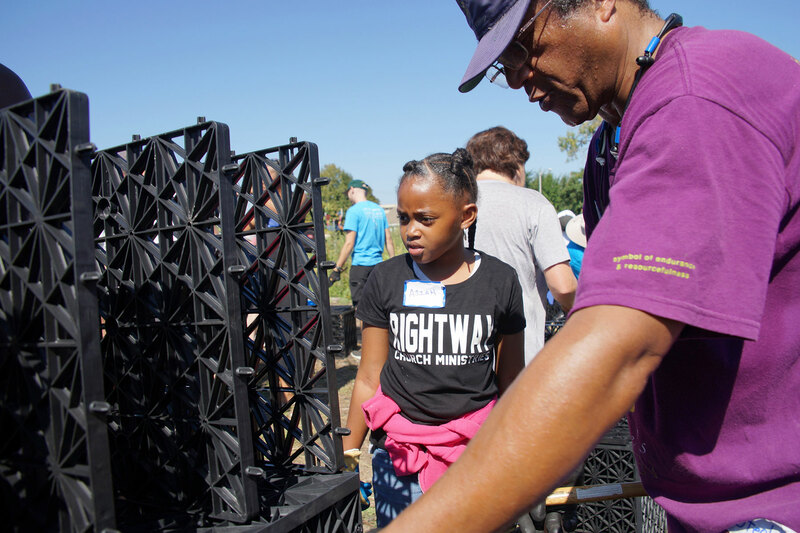 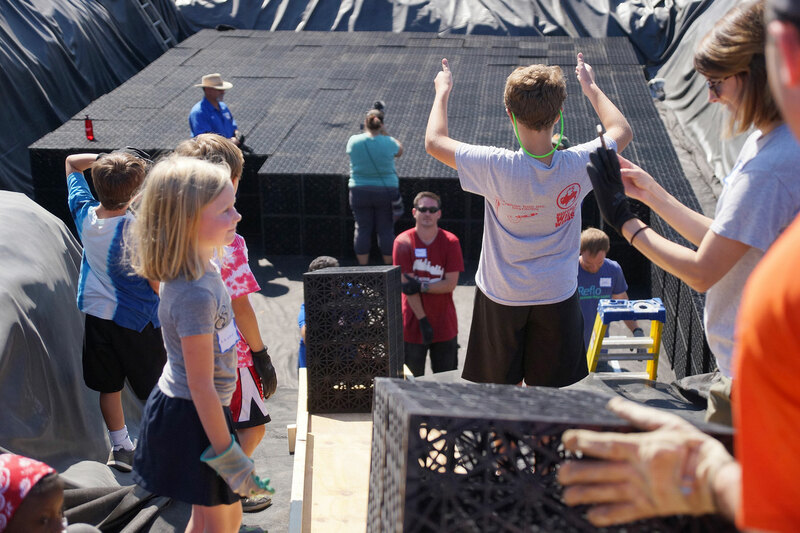 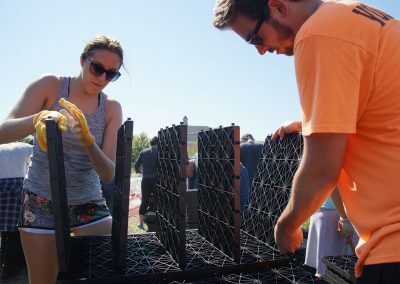 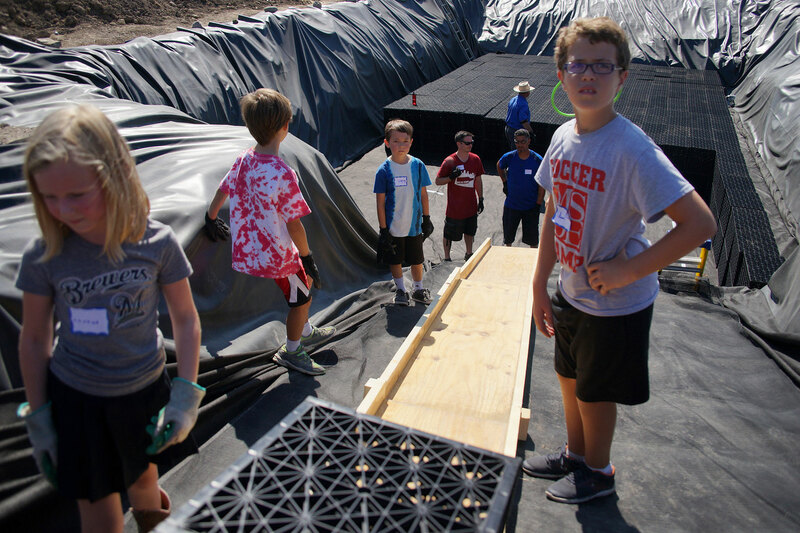 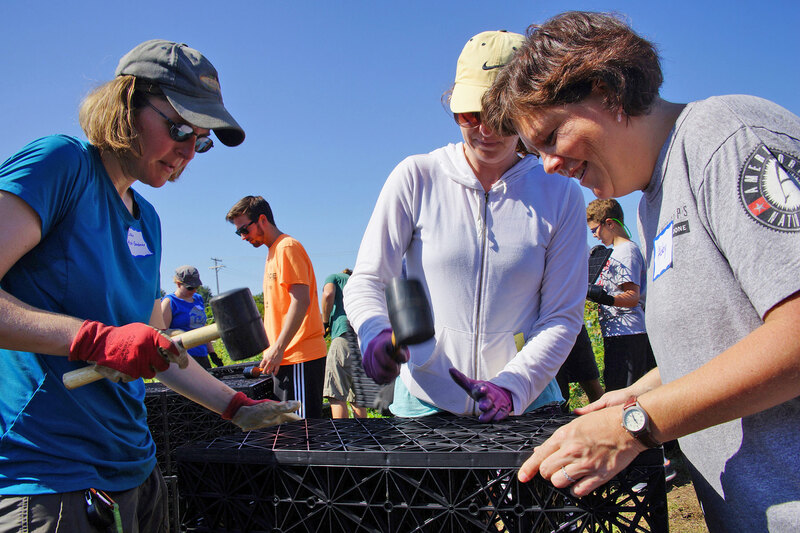 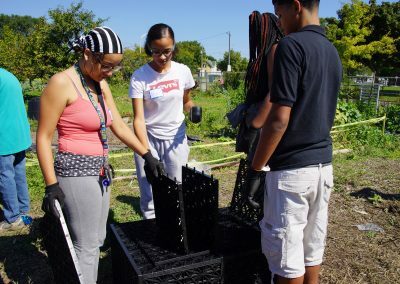 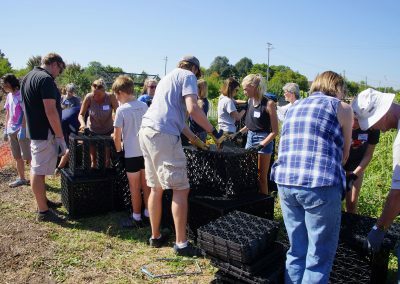 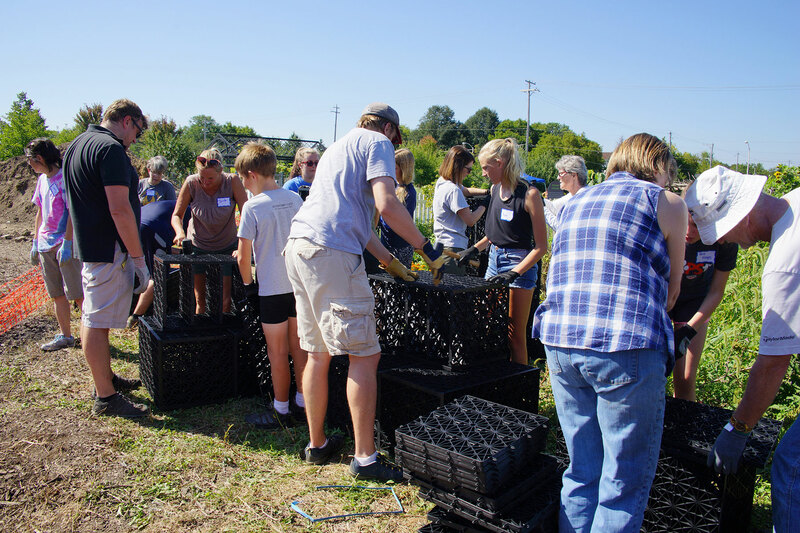 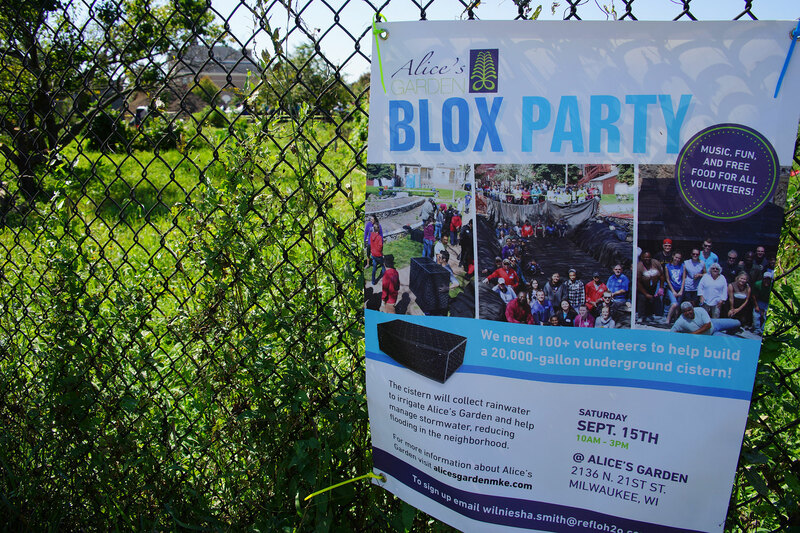 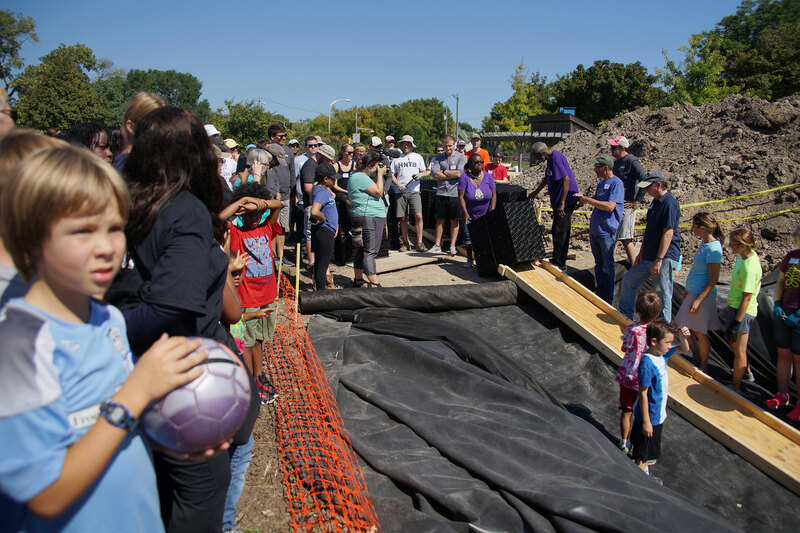 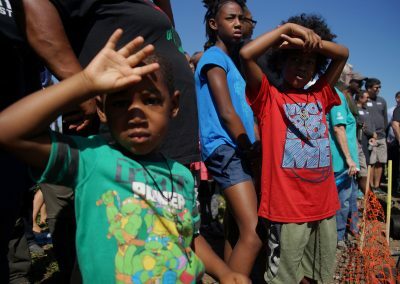 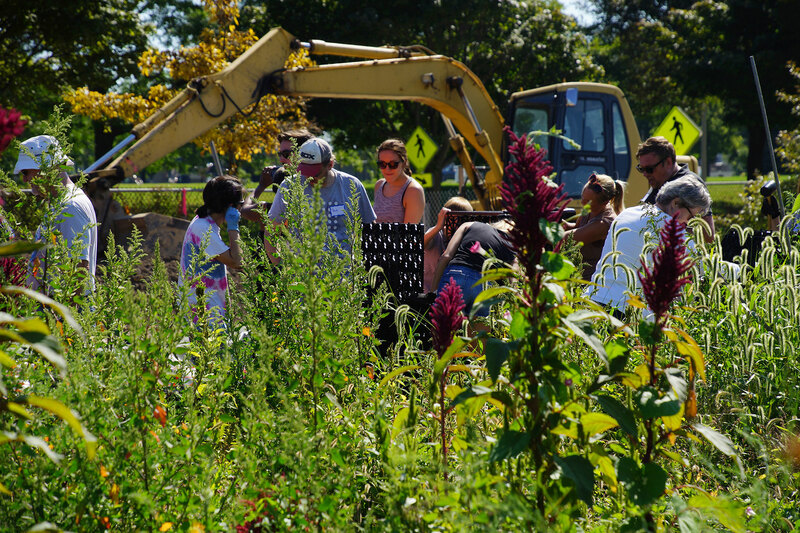 Community partners and volunteers gathered at Alice’s Garden on the morning of September 15 for a Blox Party to build a massive underground cistern to divert stormwater runoff in the Lindsay Heights neighborhood. 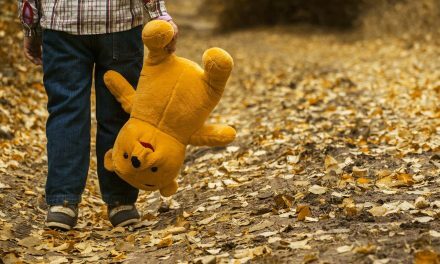 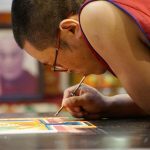 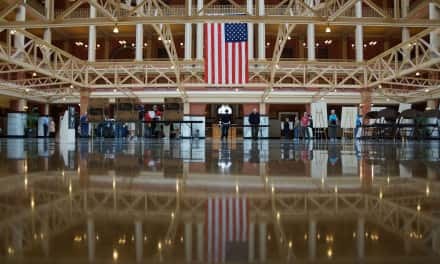 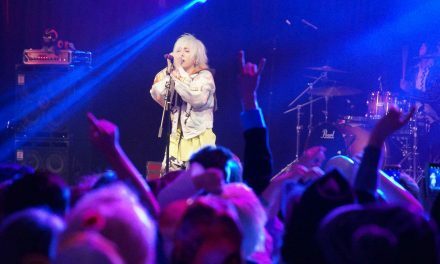 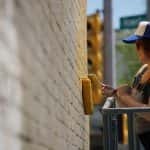 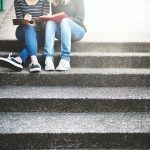 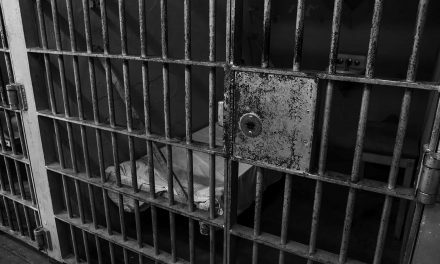 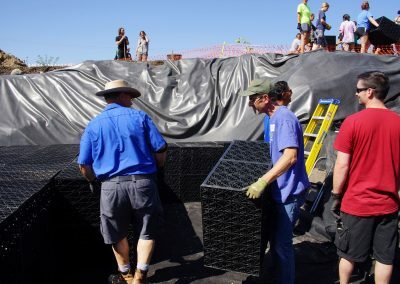 The building project was expected to take five hours, but was completed in just over two. 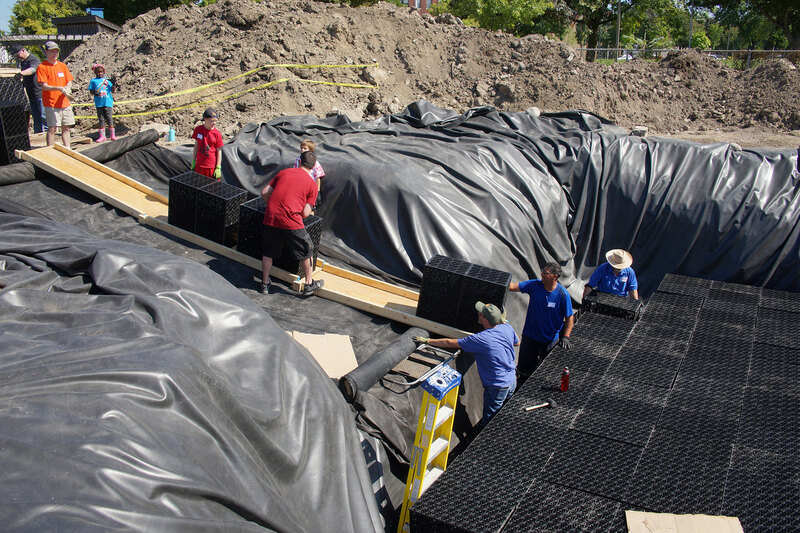 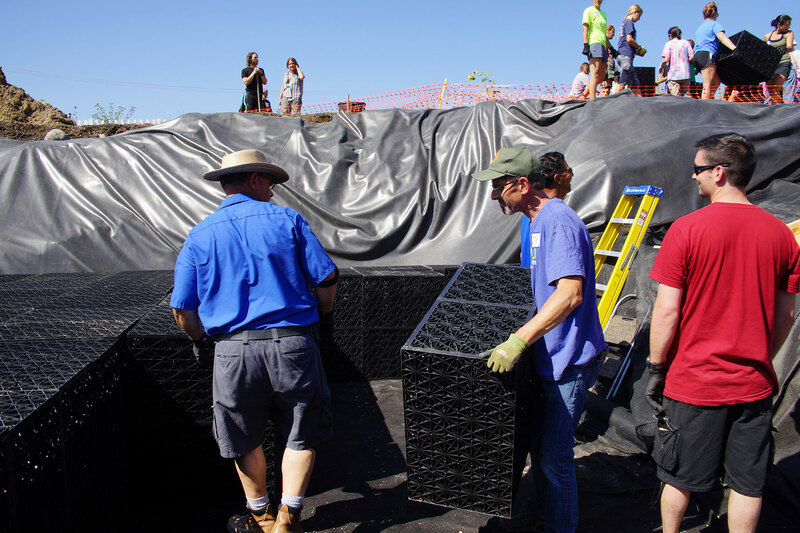 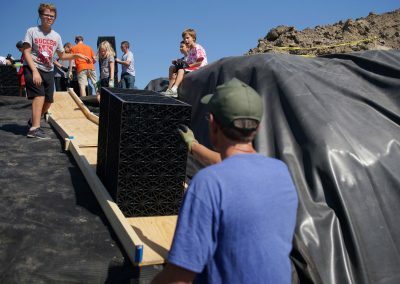 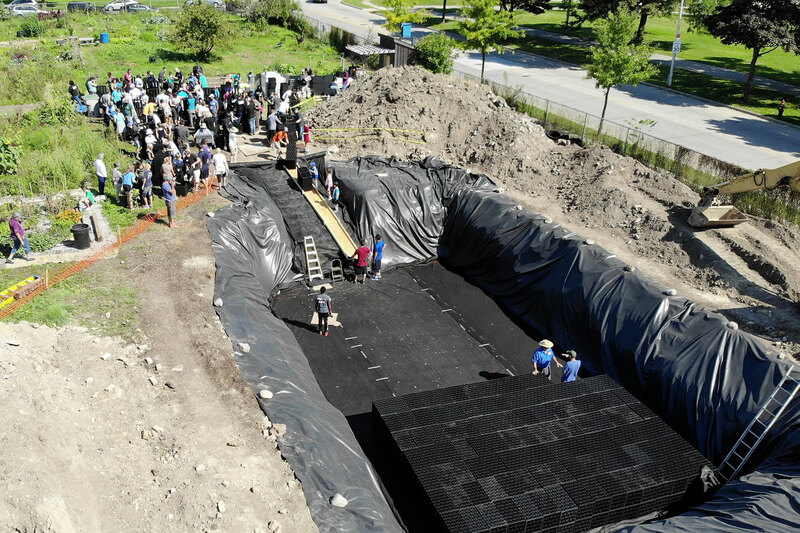 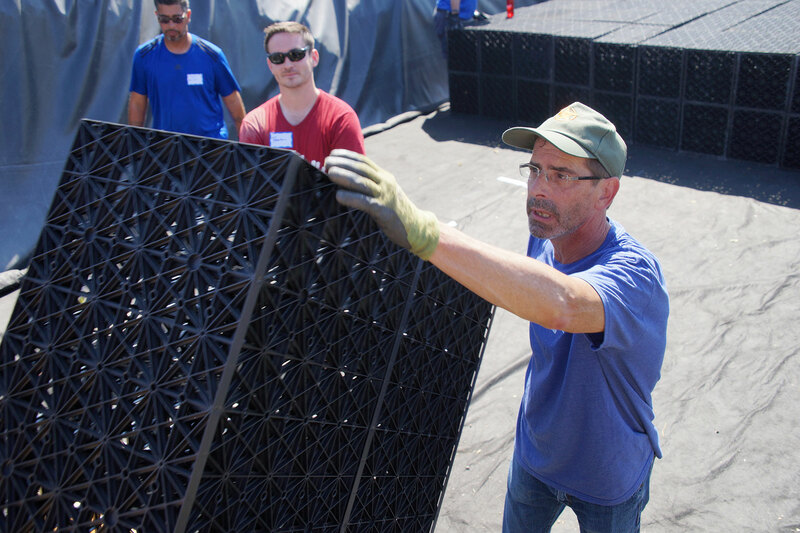 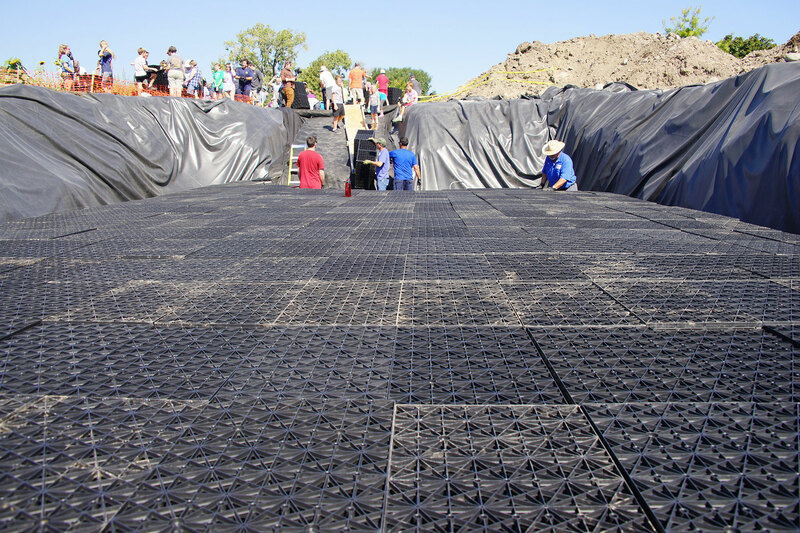 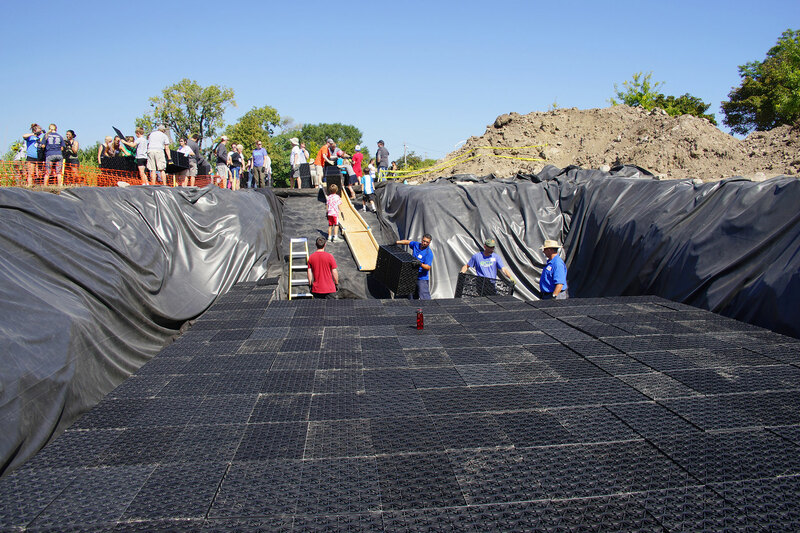 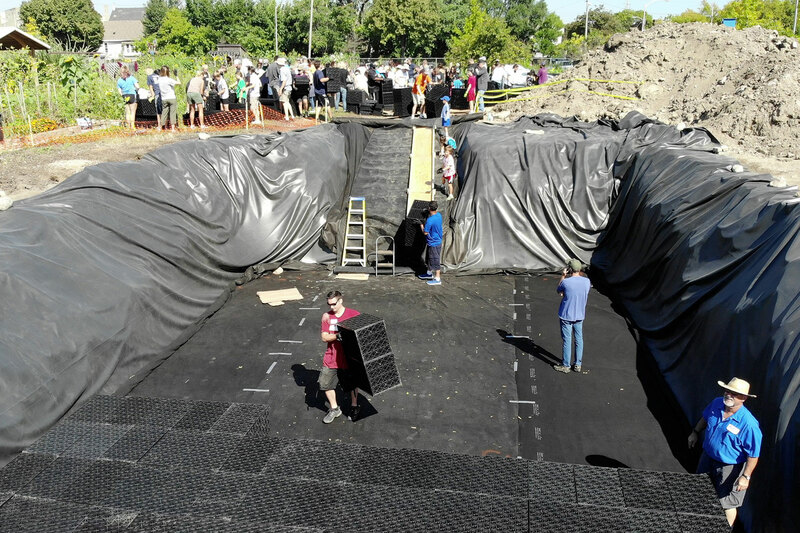 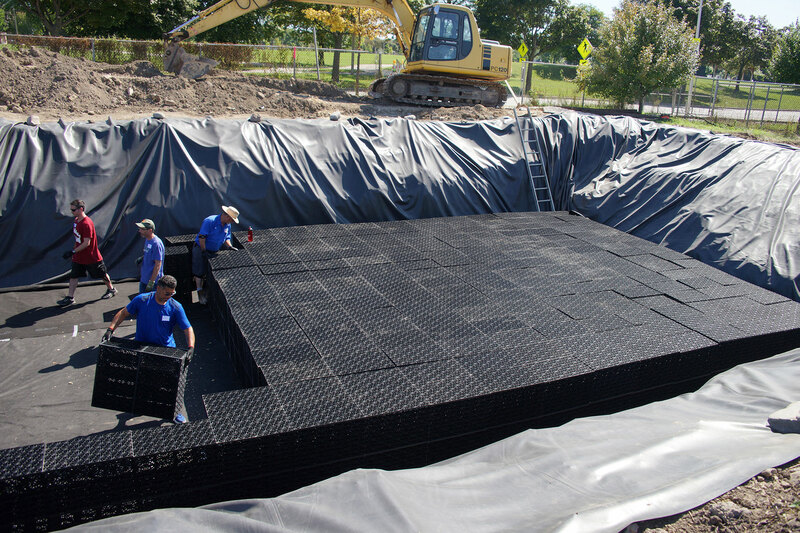 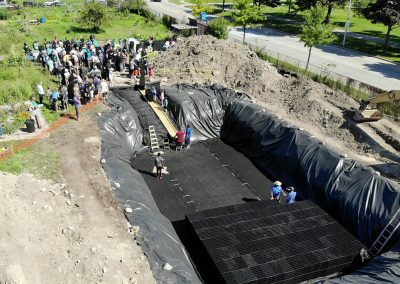 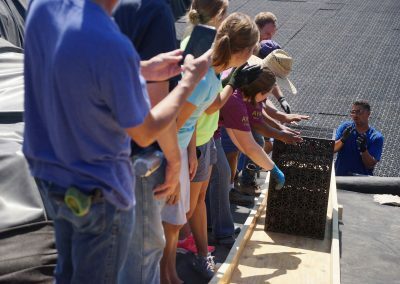 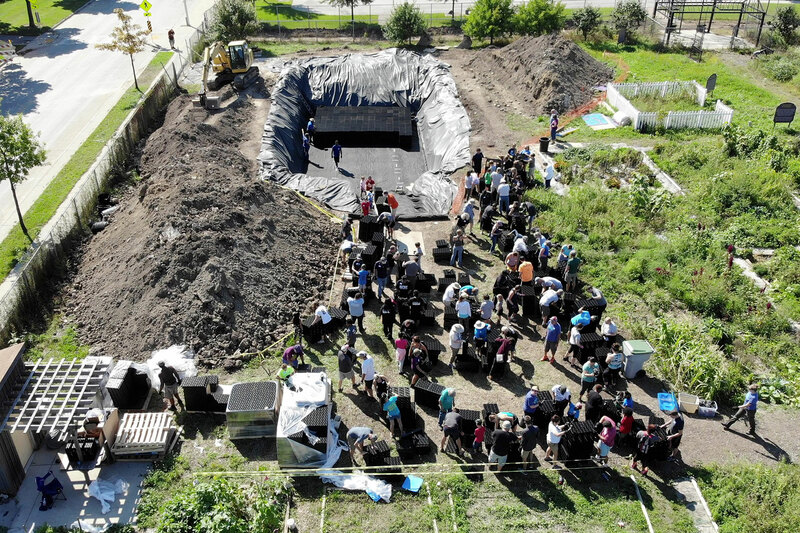 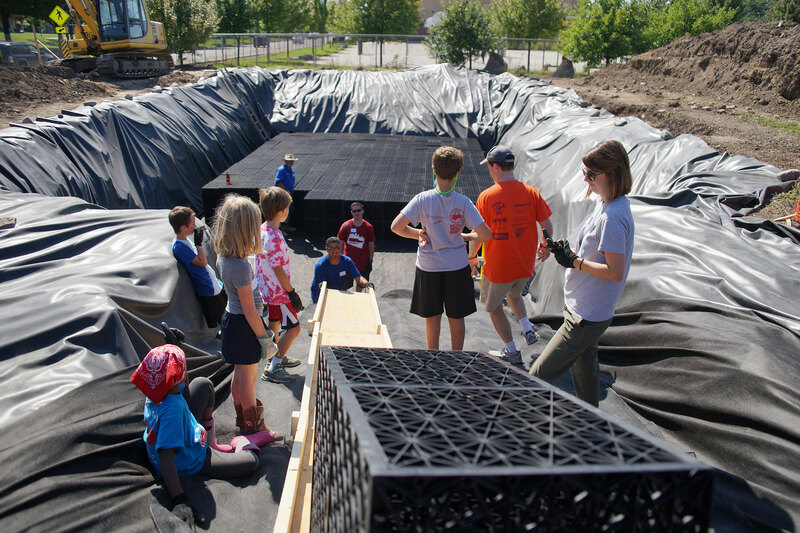 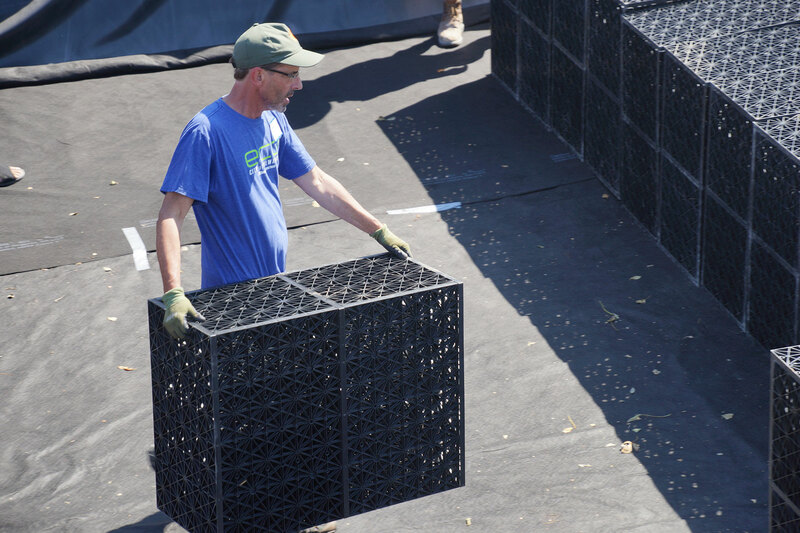 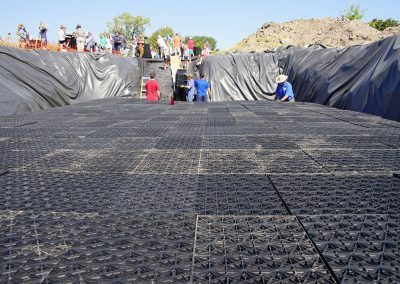 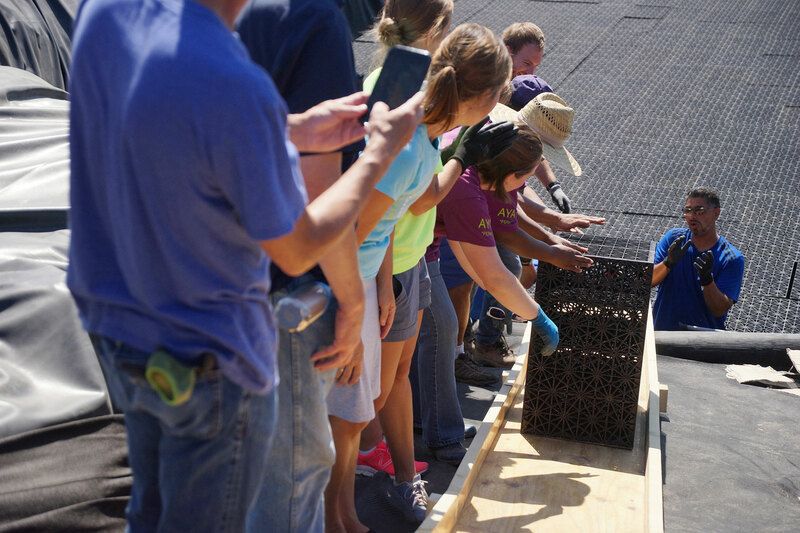 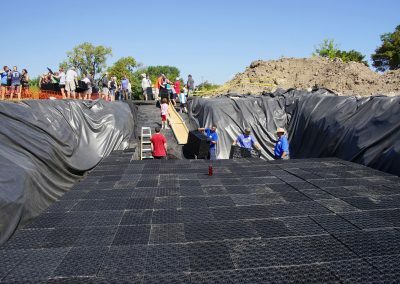 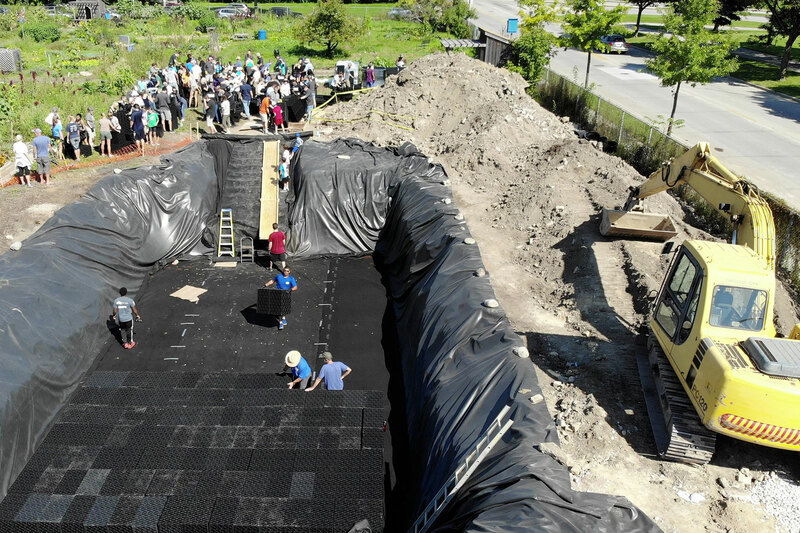 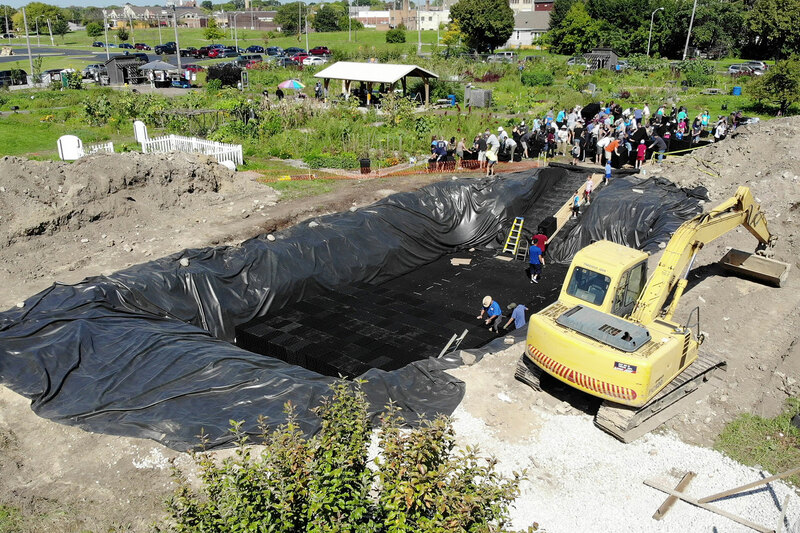 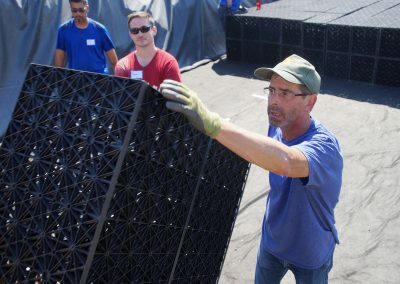 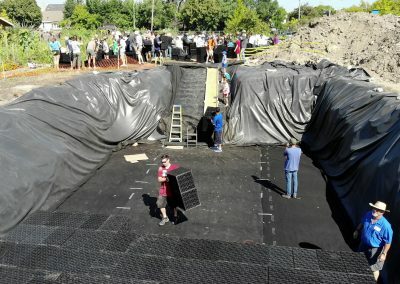 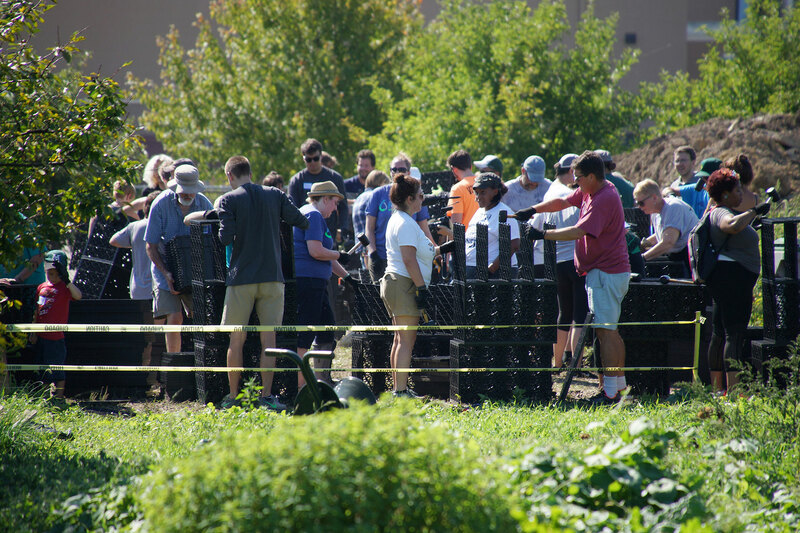 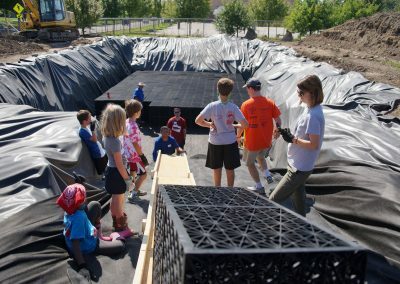 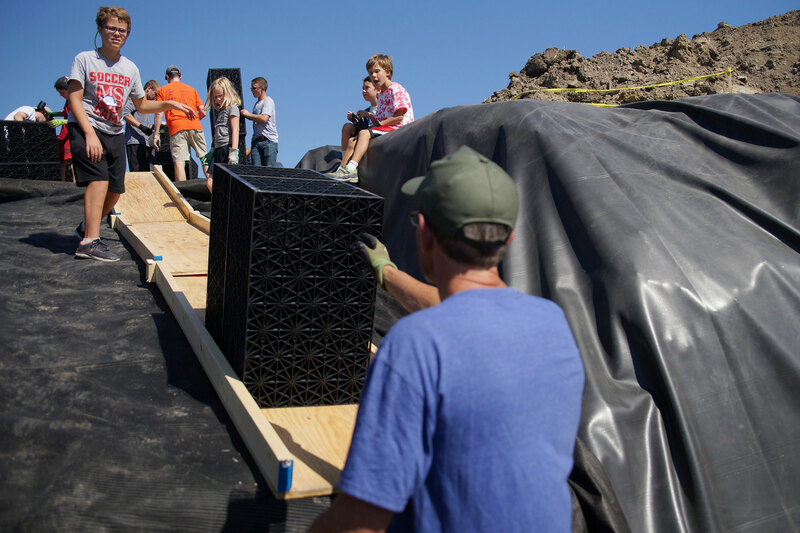 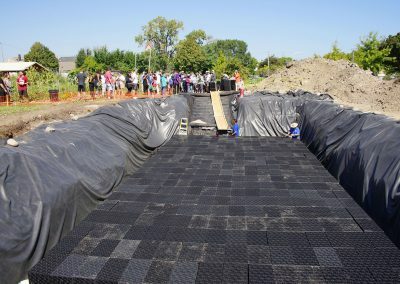 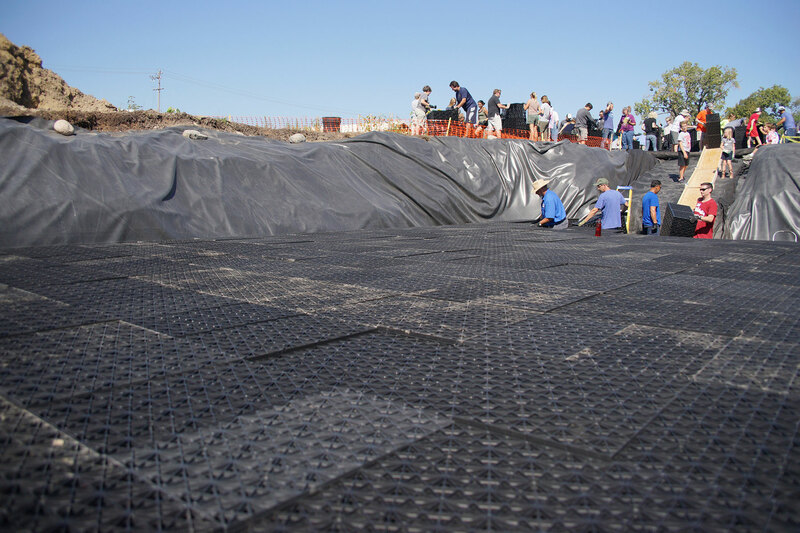 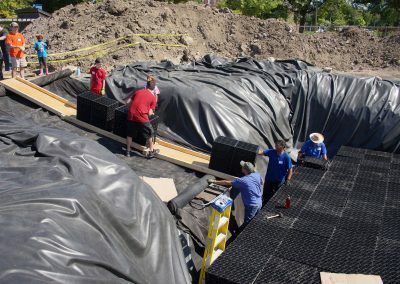 A dedicated group of participants assembled, moved, and stacked 640 AquaBlox rain tank storage modules in the area excavated for the cistern. 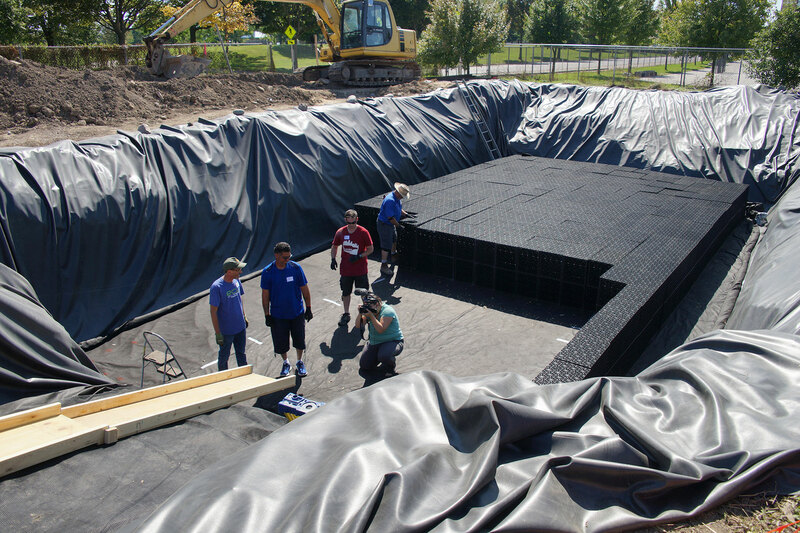 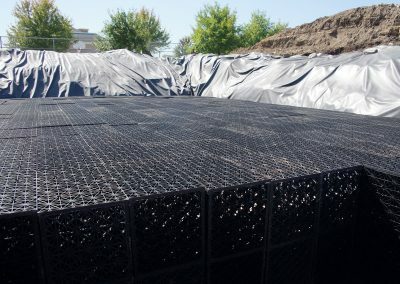 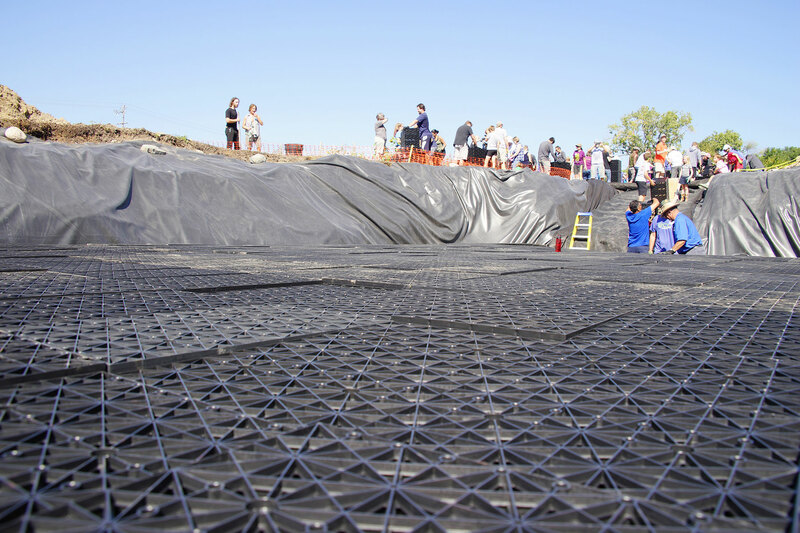 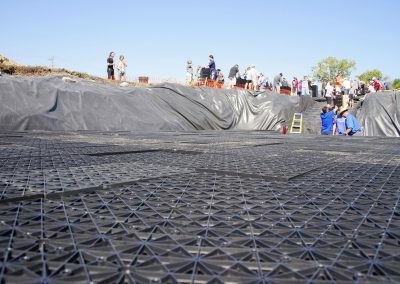 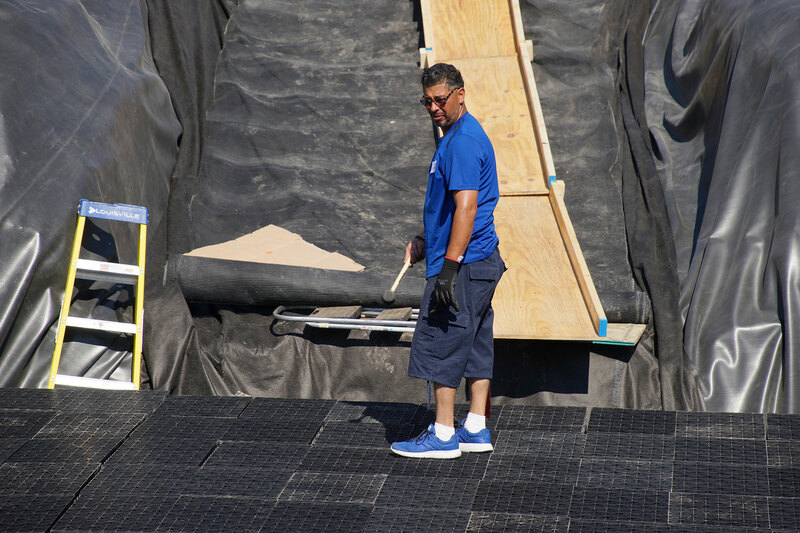 Located at 2136 N 21st Street, the new underground reservoir is part of the Rainwater Harvesting System currently under construction at the garden. 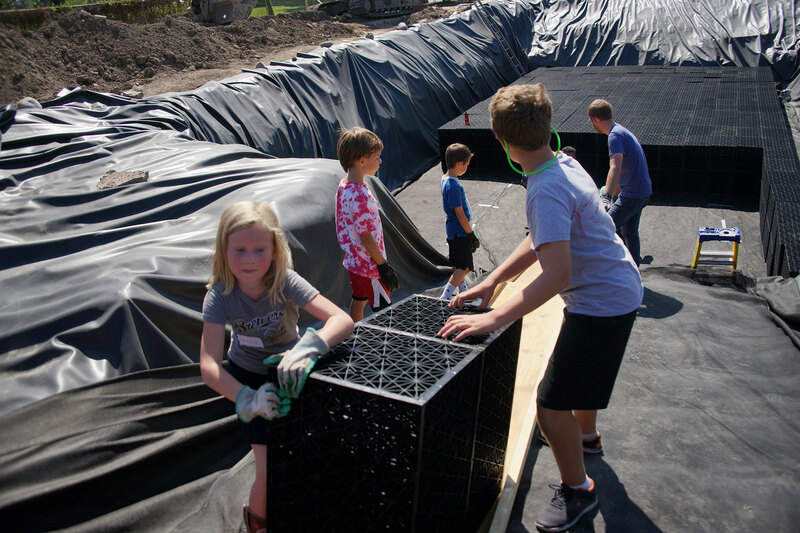 The project will divert stormwater runoff from the adjacent Brown Street Academy’s asphalt schoolyard into a bioswale. 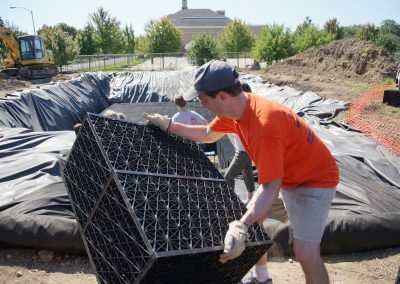 The water then absorbs into the cistern where gardeners can use a new solar-powered pump and filtration system to irrigate their crops. 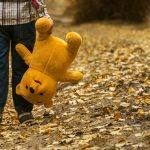 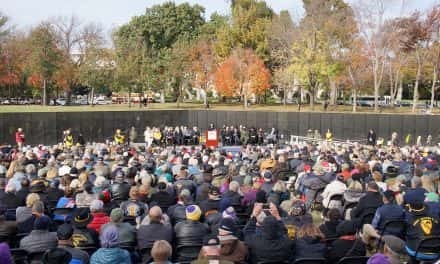 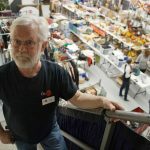 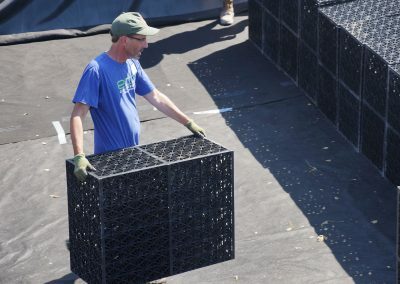 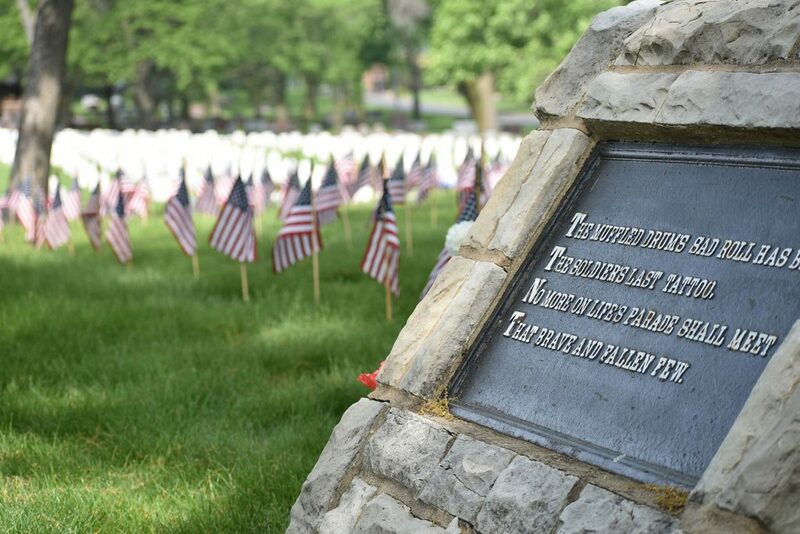 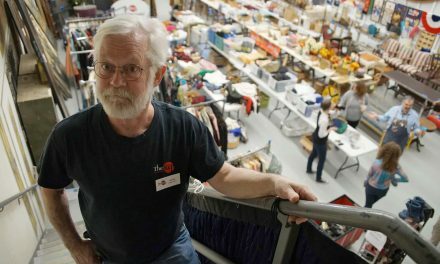 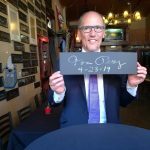 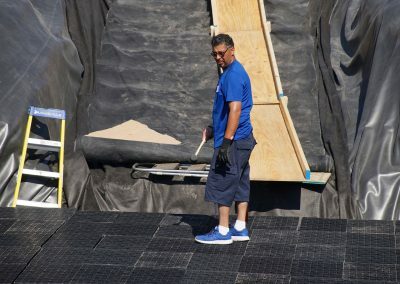 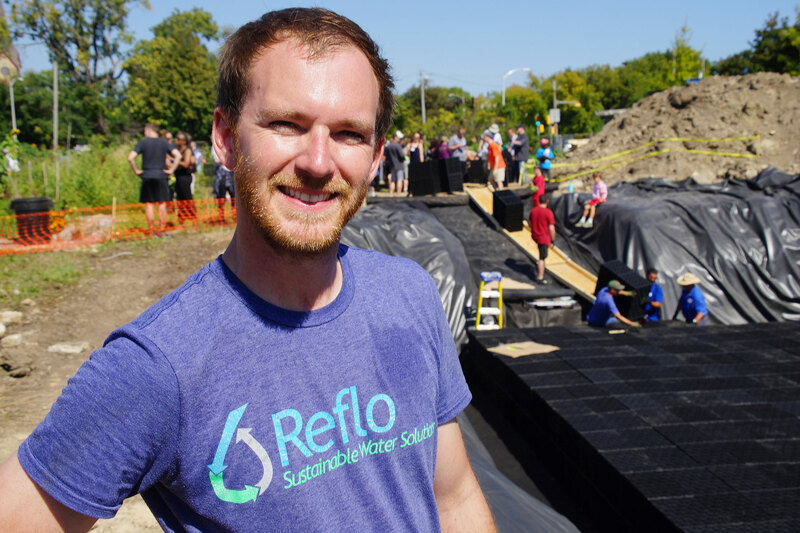 “The next step will be to add solar panels to power the irrigation pump and support various community events in the garden,” said Justin Hegarty, Executive Director of Reflo. 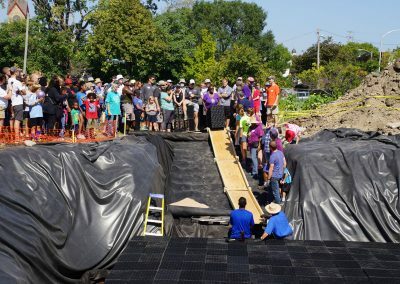 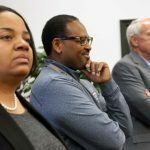 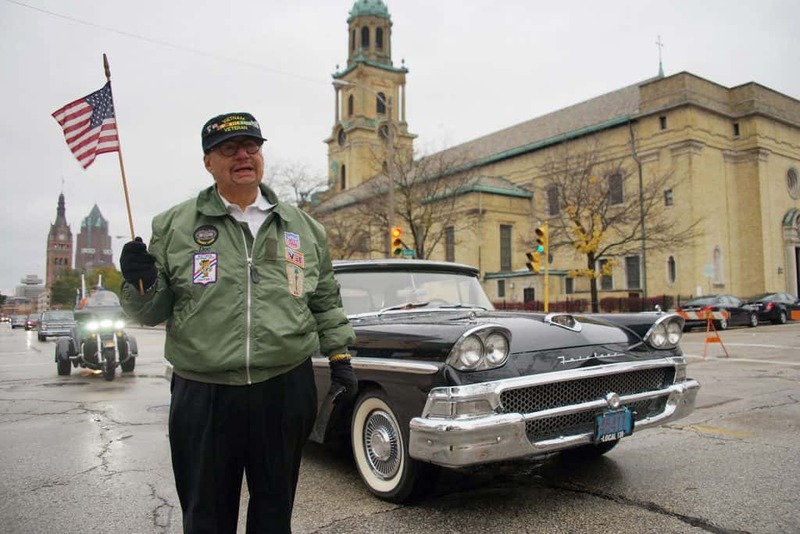 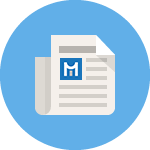 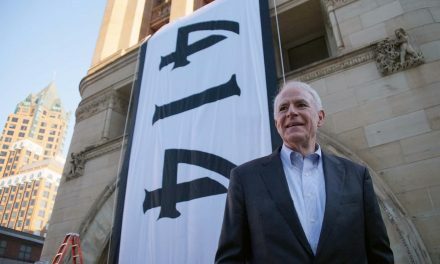 The effort will successfully reduce stormwater runoff, effectively reducing basement backups and combined sewer overflows which impair the health of the Lindsay Heights neighborhood. 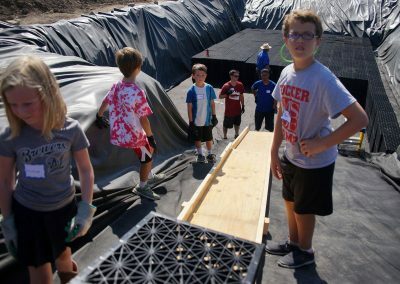 At the same time, the plan also reduces the annual watering costs and demonstrating sustainability practices. 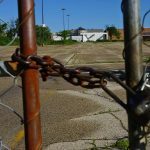 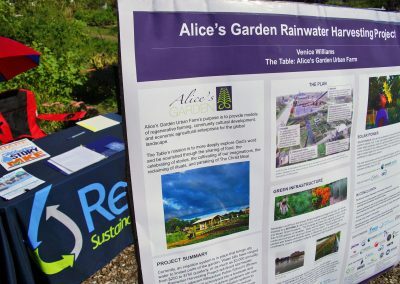 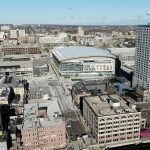 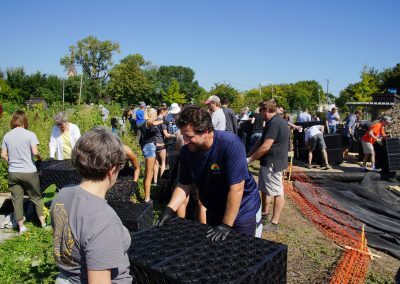 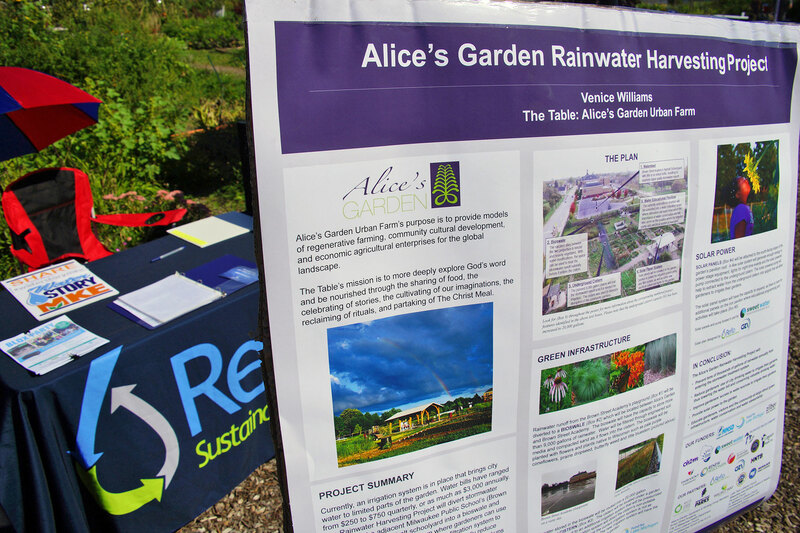 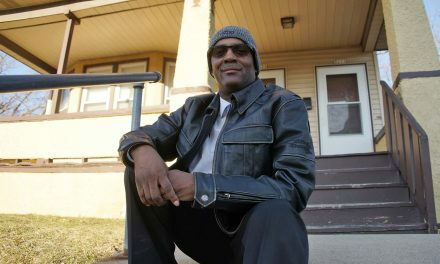 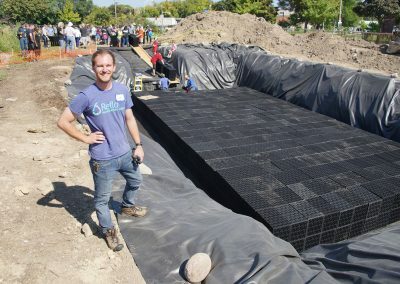 “With Walnut Way’s funding from the Institute for Sustainable Communities and other sponsors, we have been able to reunite partnerships to add green infrastructure at Alice’s Garden, Galillee Lutheran Church, and expand rain capture at Fondy Park this year,” said Tim McCollow, project manager for the Home GR/OWN program for the City of Milwaukee. 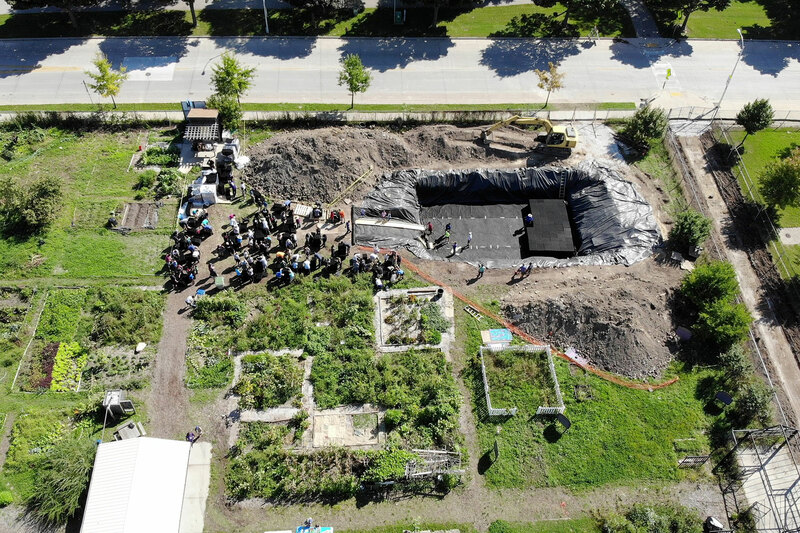 The Rainwater Harvesting Project would not be possible without support from many individuals and organizations including the Milwaukee Metropolitan Sewerage District, Milwaukee Public Schools, Fund for Lake Michigan, and Joseph and Vera Zilber Charitable Foundation. 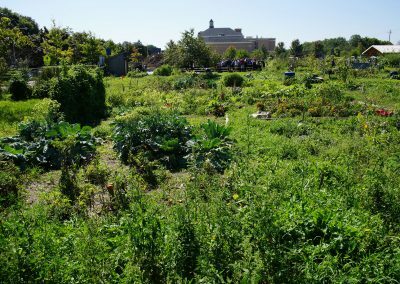 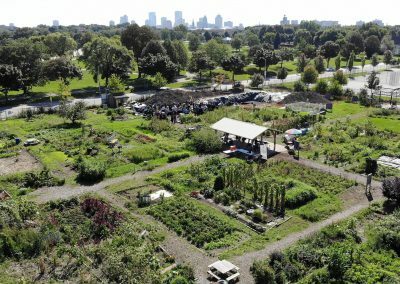 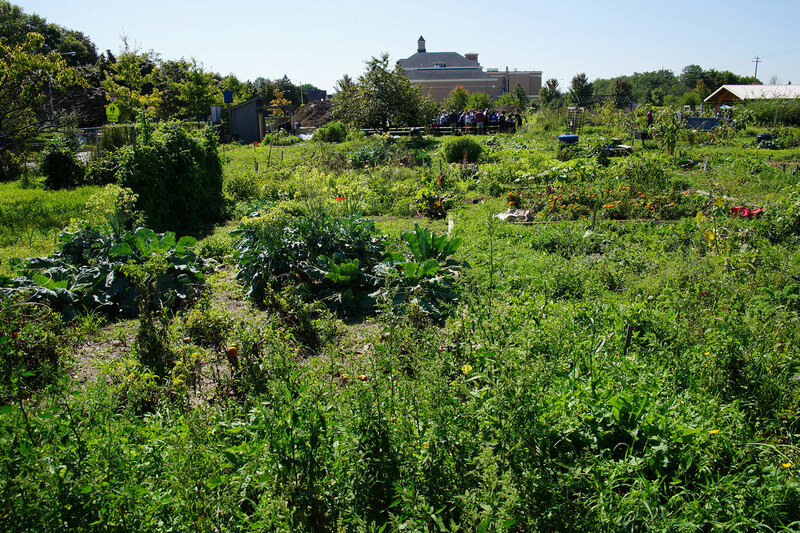 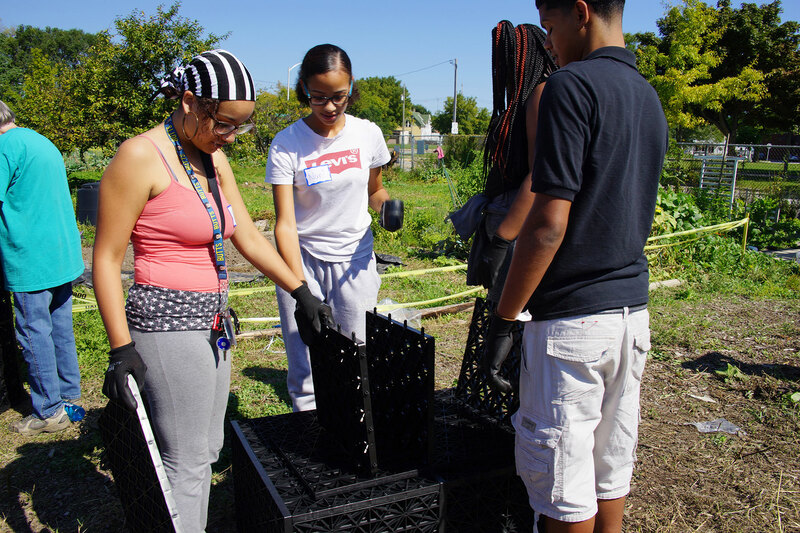 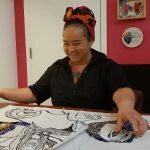 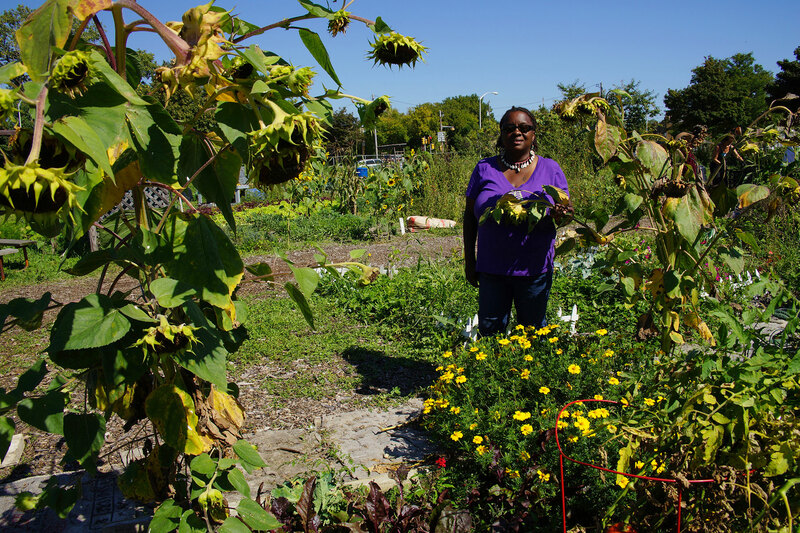 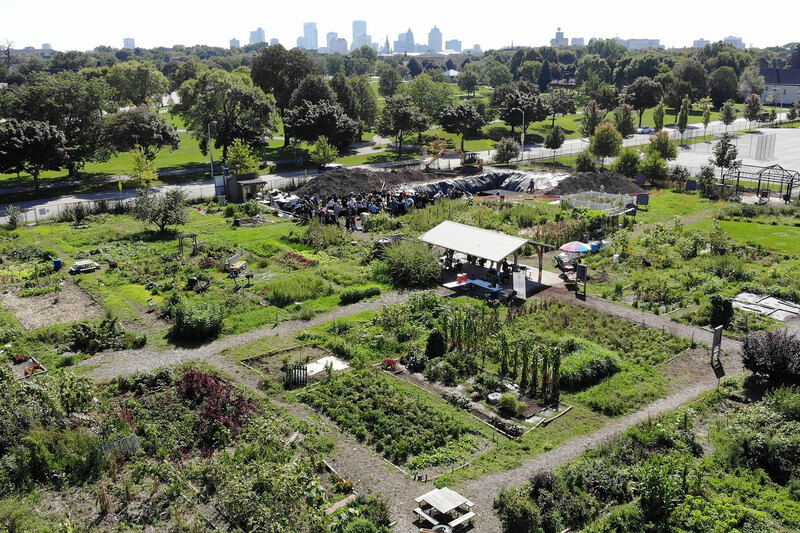 Alice’s Garden is a two-acre community garden and urban farm in the Lindsay Heights neighborhood that has plots that are rented to individuals, families, and community groups on an annual basis. 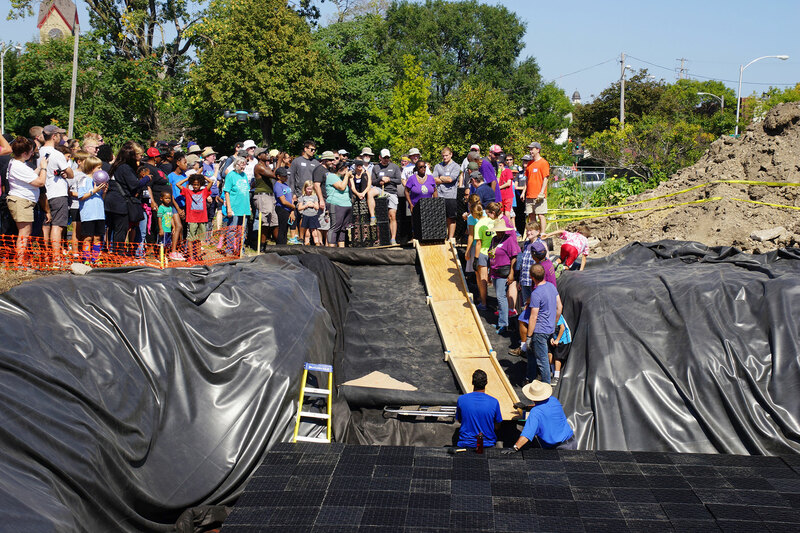 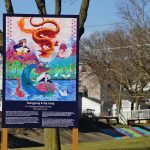 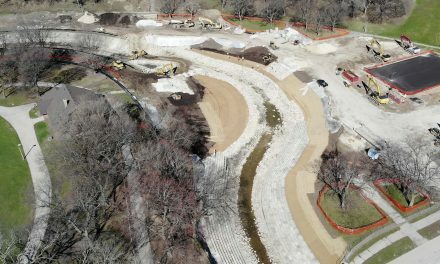 Walnut Way and ECO (City of Milwaukee’s Environmental Collaboration Office) have been moving forward with multiple stormwater management and solar installations in 2018, all in Lindsay Heights. 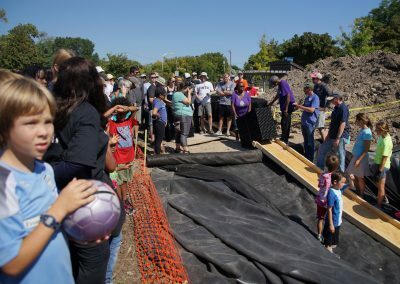 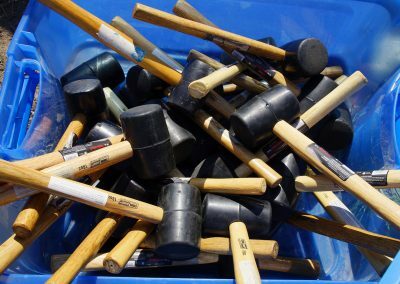 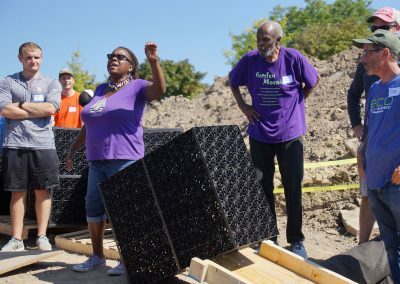 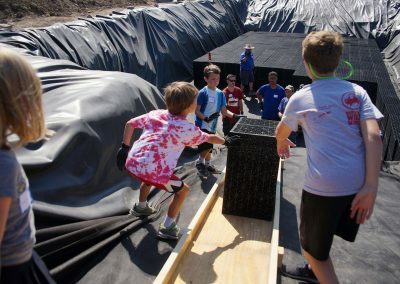 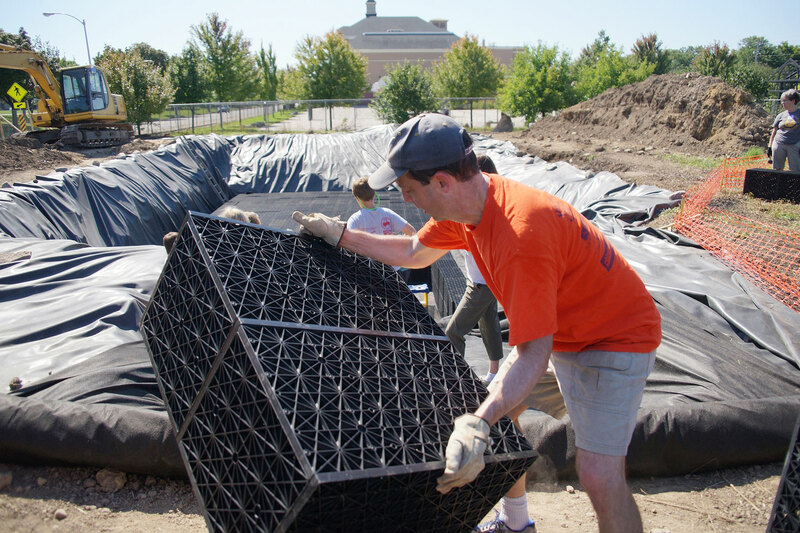 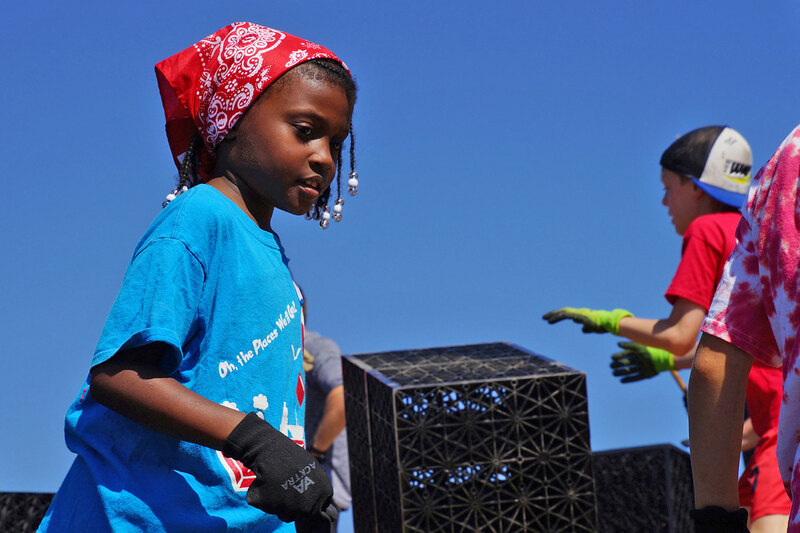 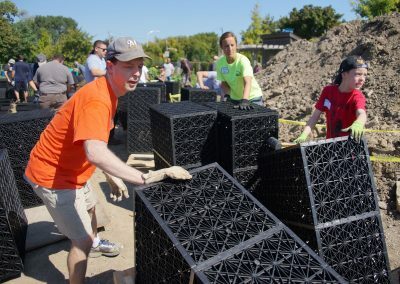 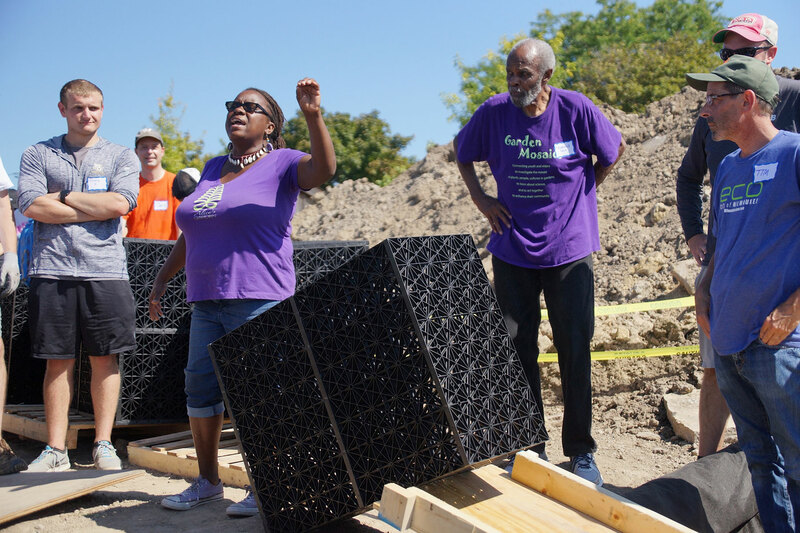 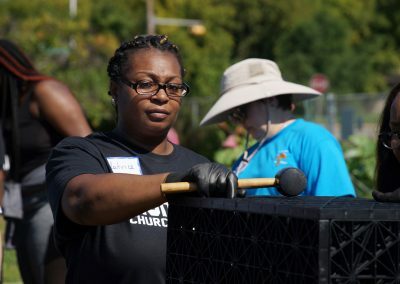 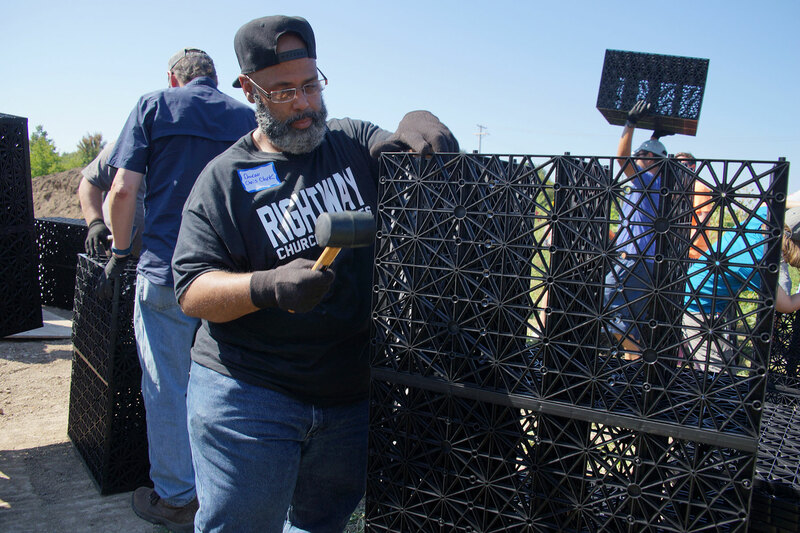 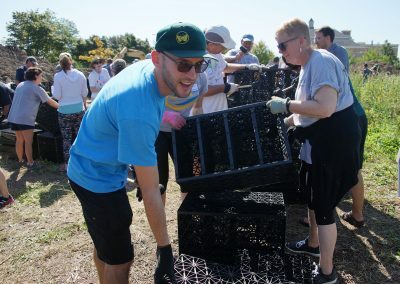 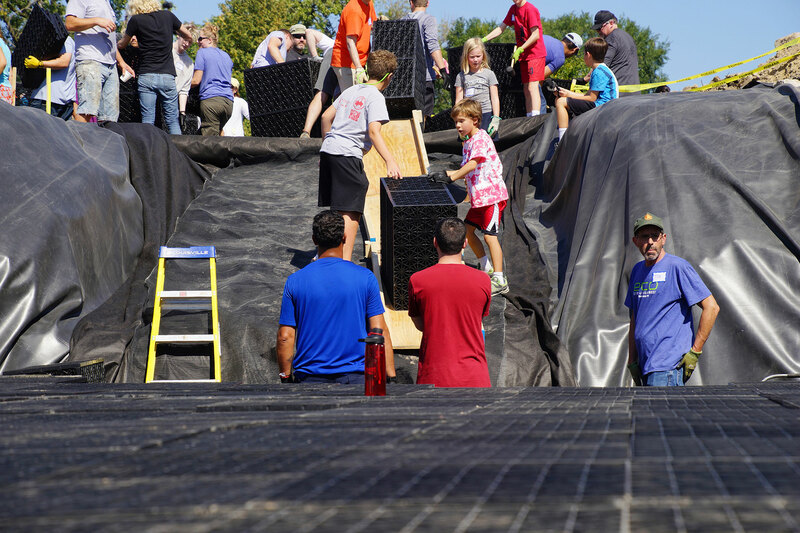 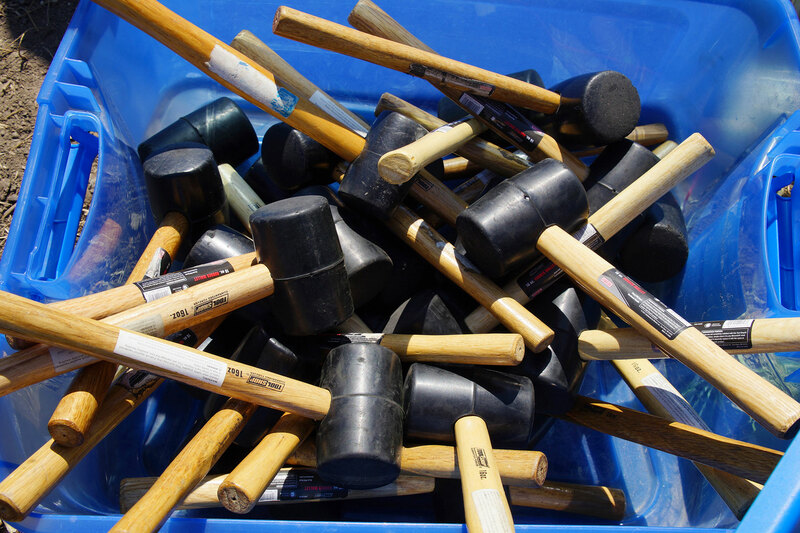 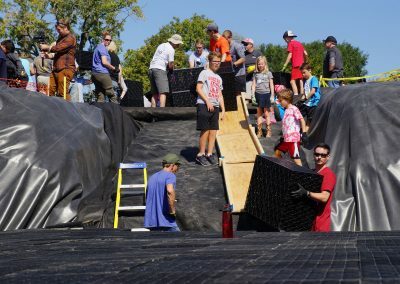 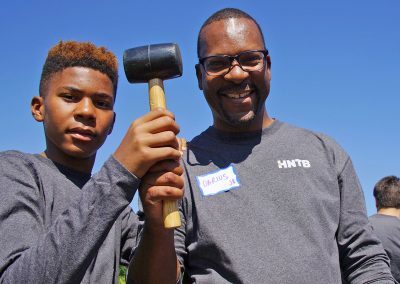 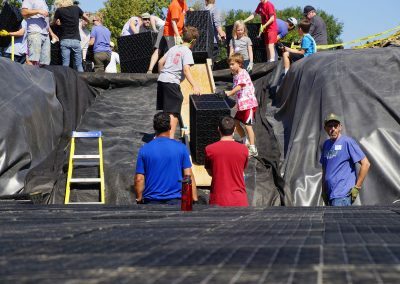 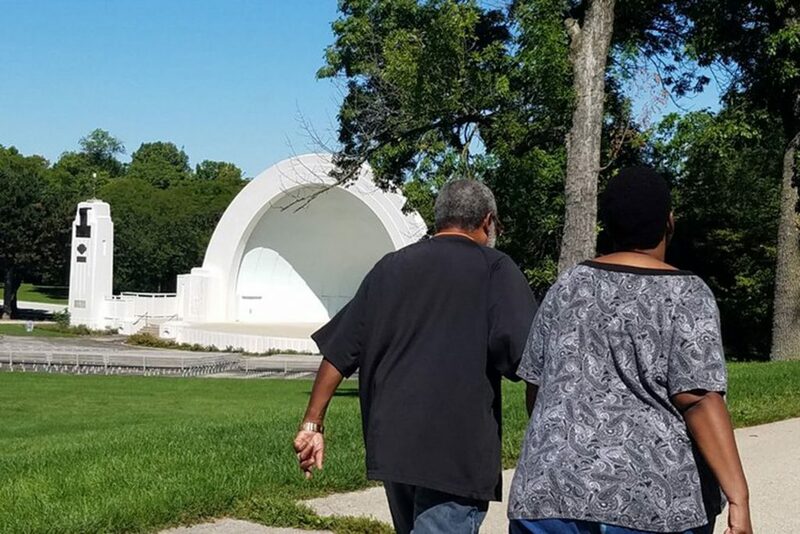 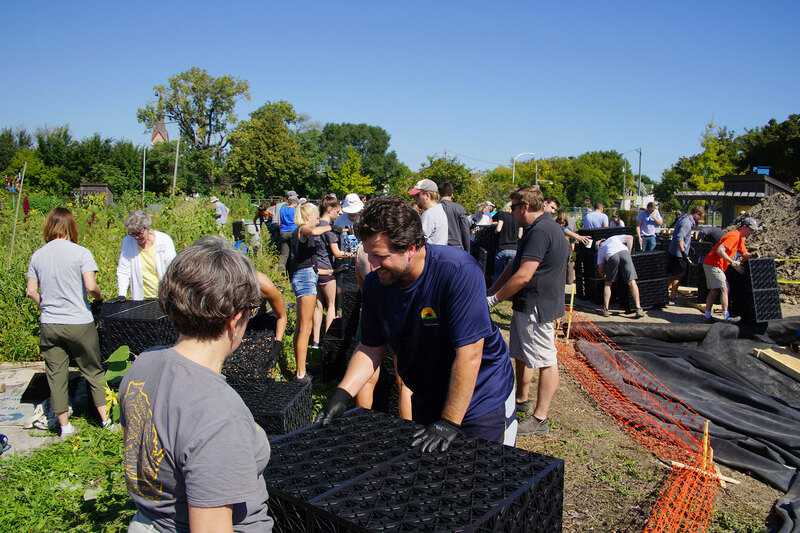 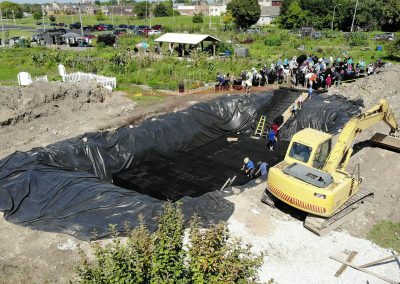 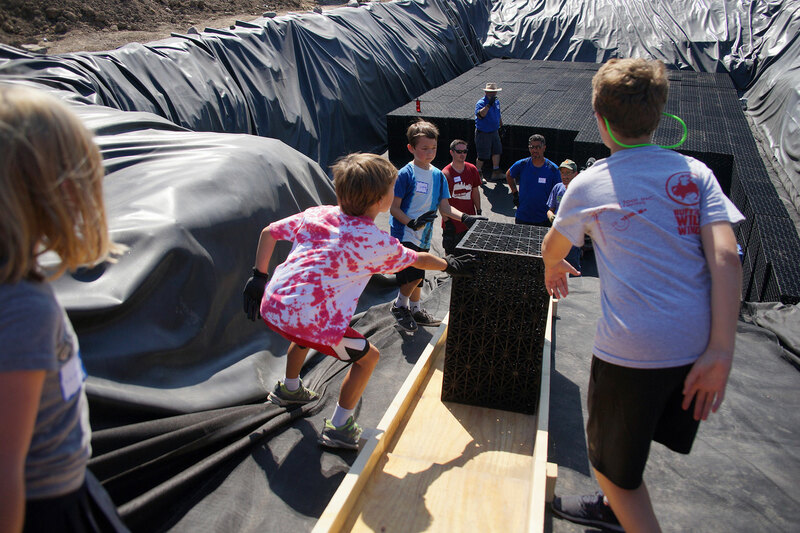 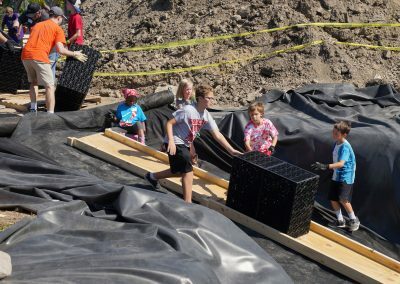 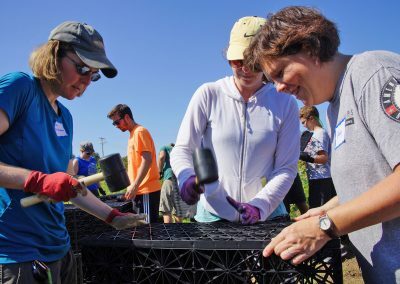 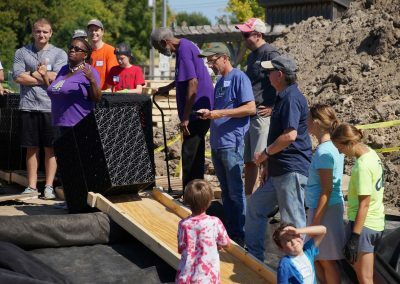 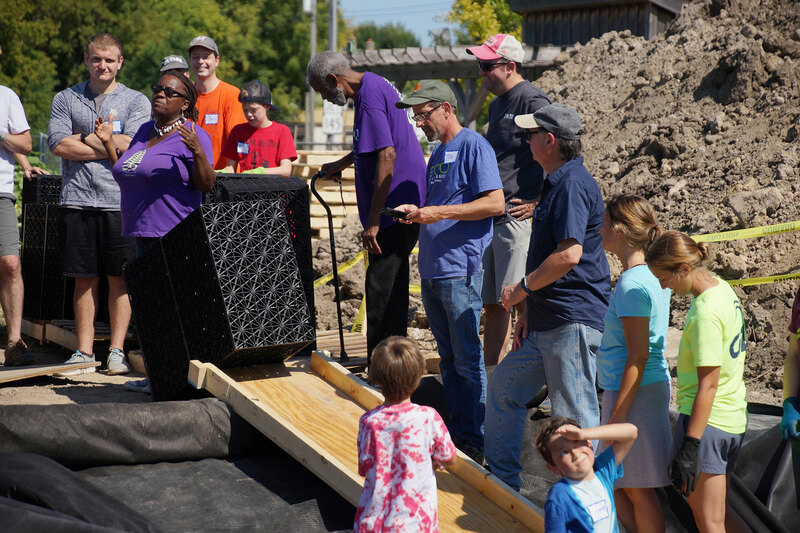 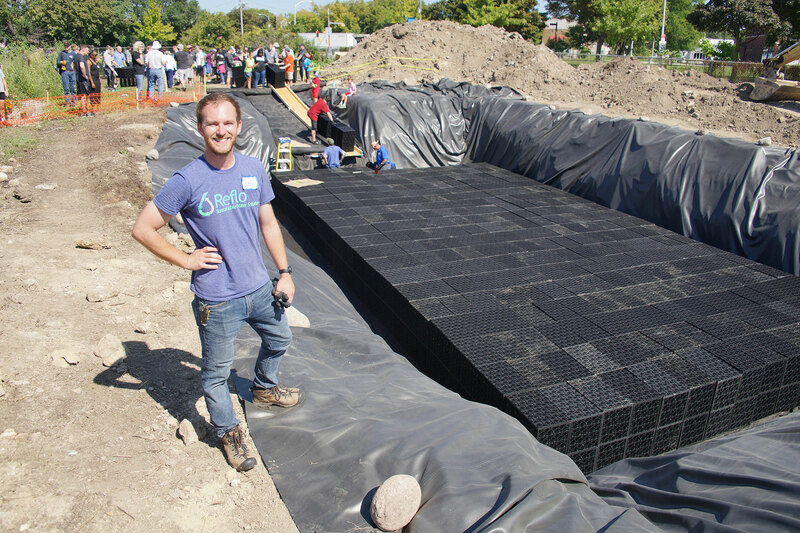 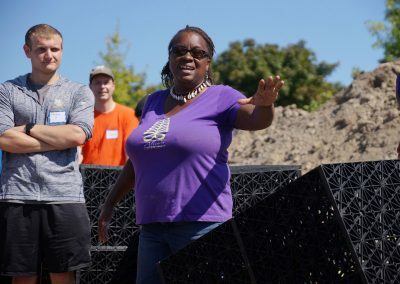 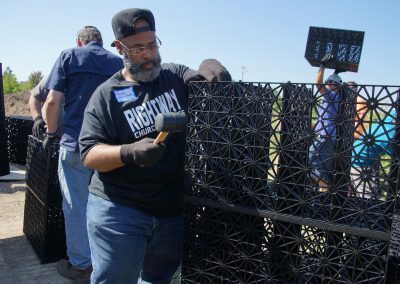 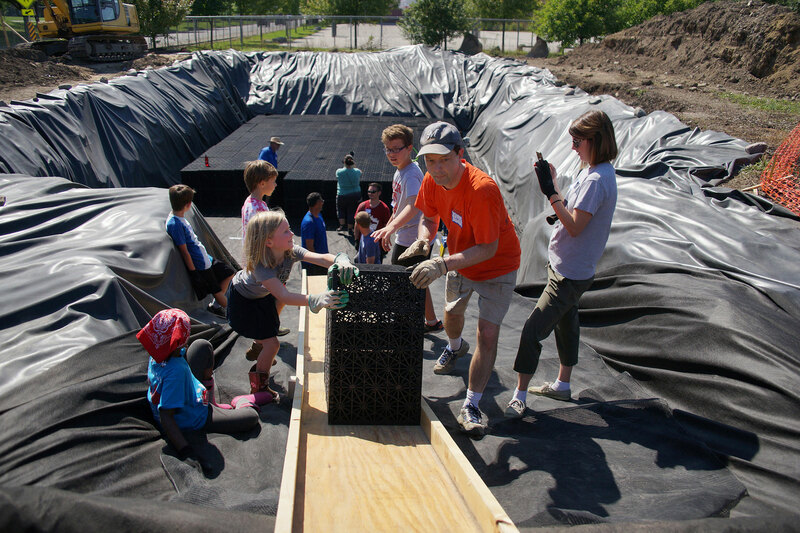 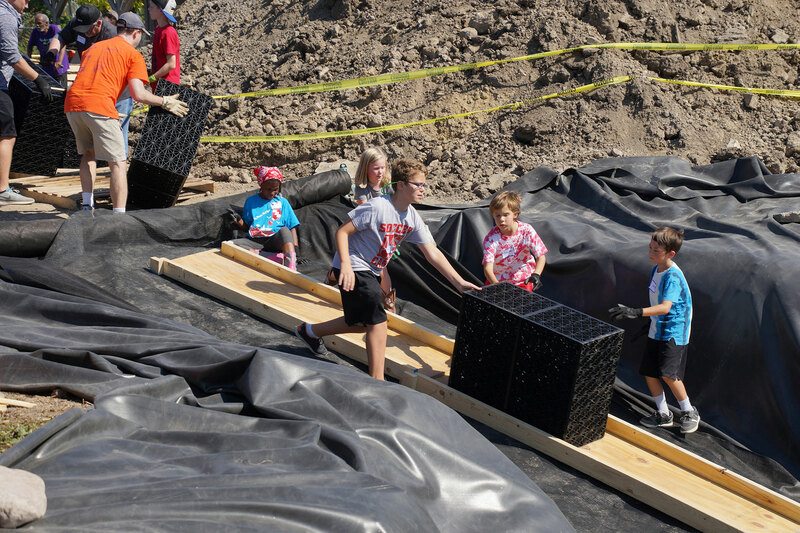 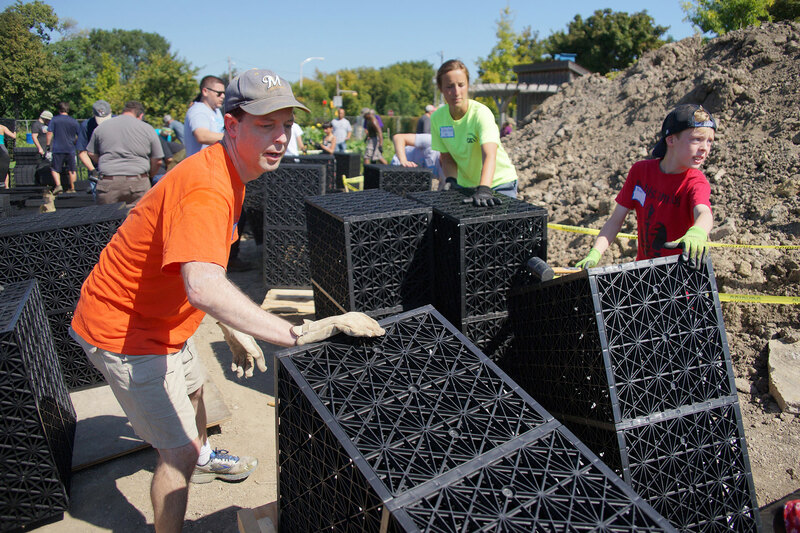 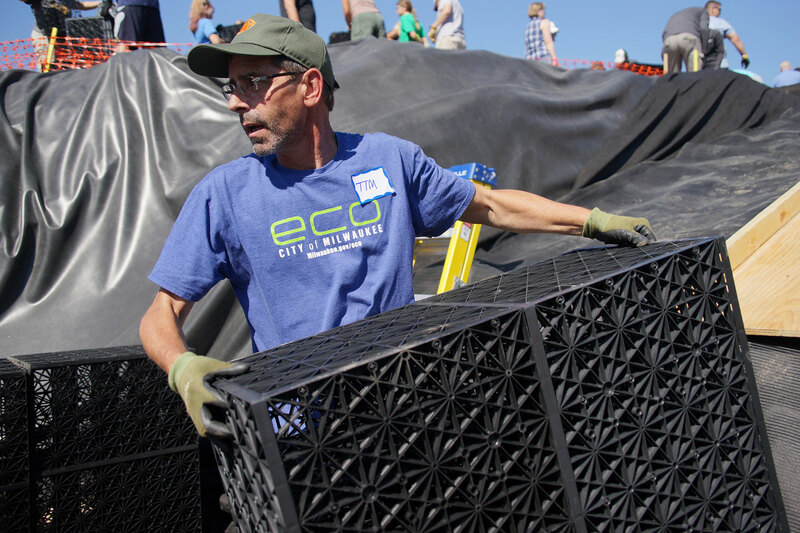 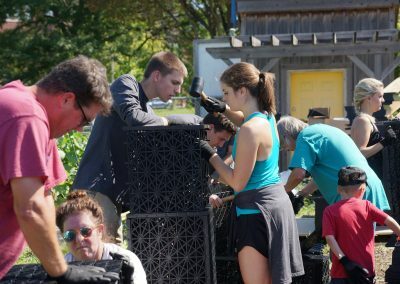 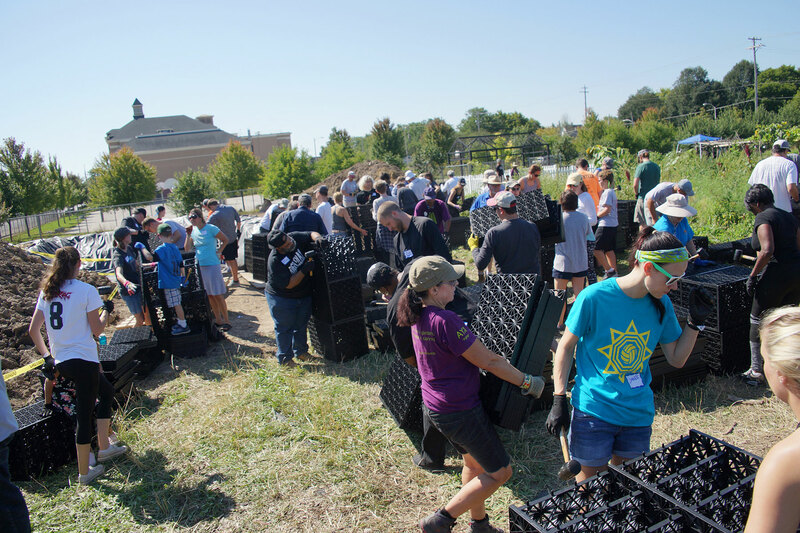 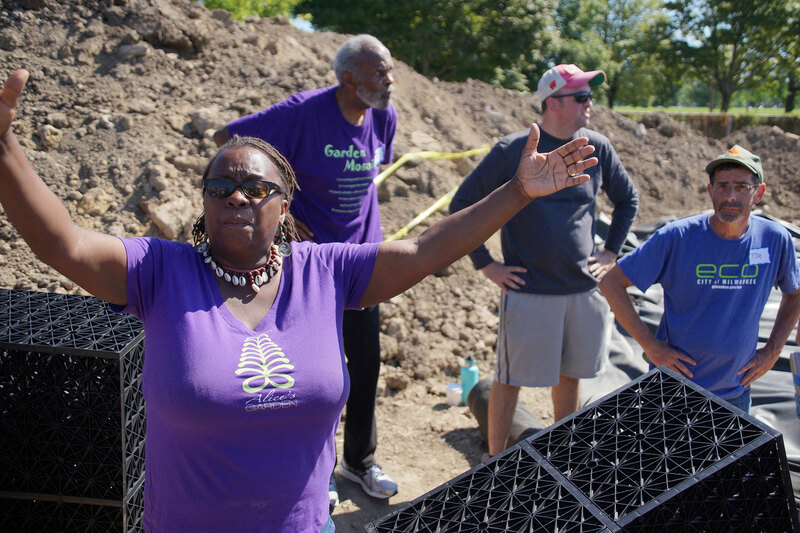 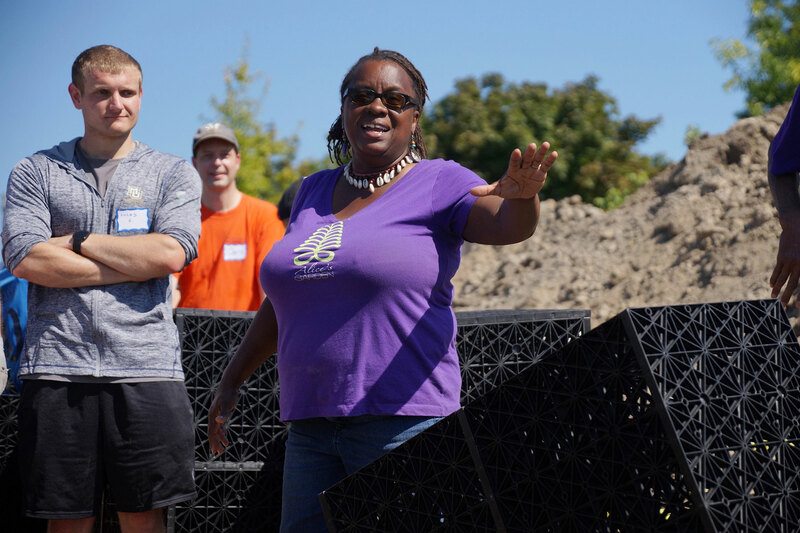 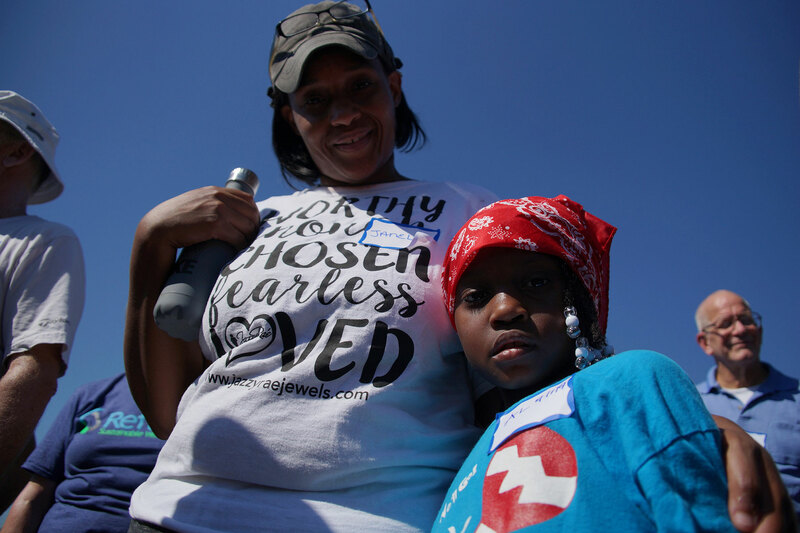 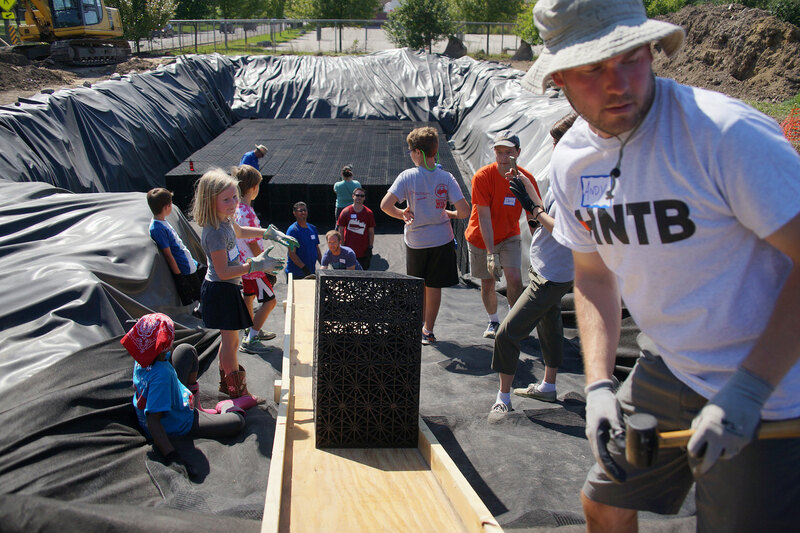 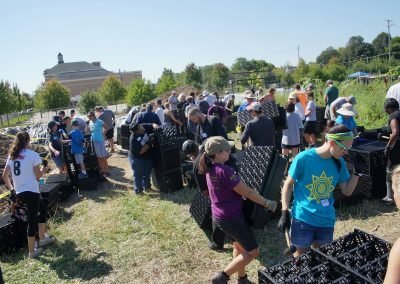 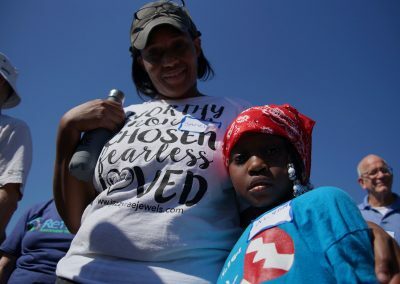 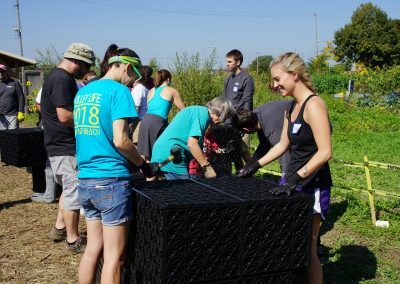 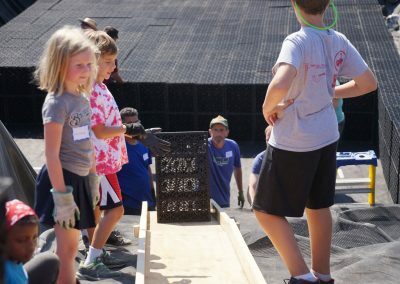 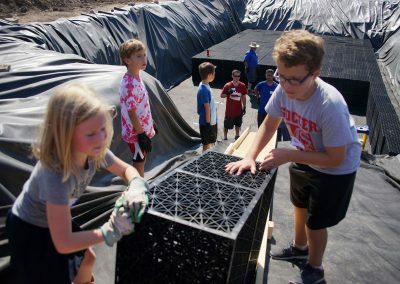 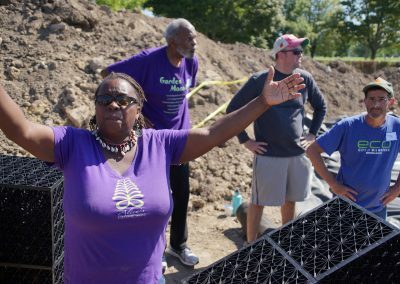 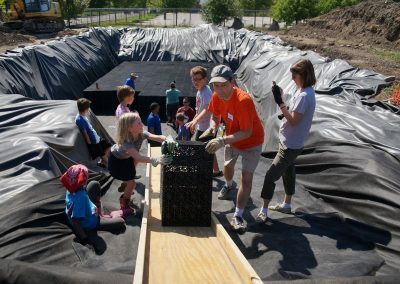 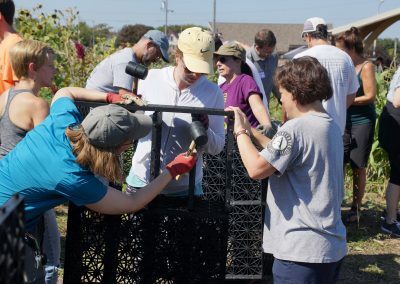 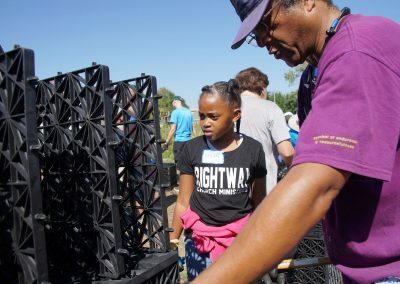 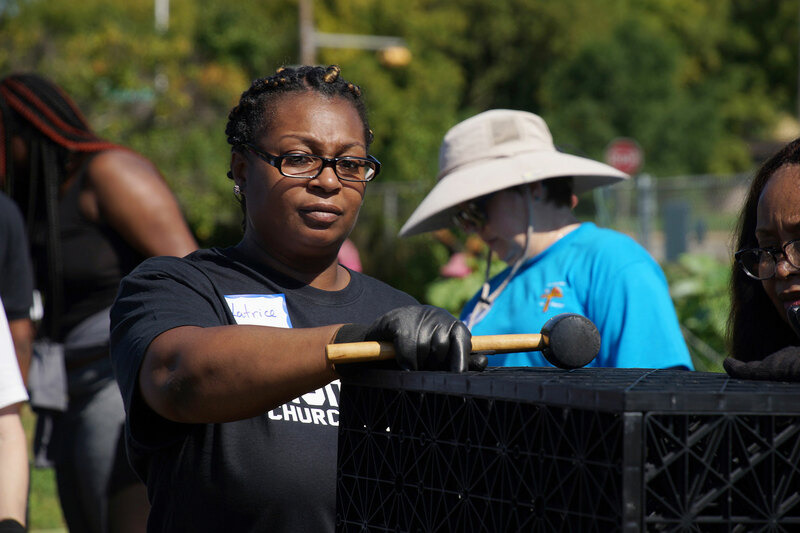 The next big volunteer Blox Party, to construct another 20,000 gallon cistern, will be held on October 6 at Green Tech Station, hosted by Northwest Side Community Development Corporation, Reflo, the Redevelopment Authority of the City of Milwaukee, and several project partners.